Abbeydale Real Estate: There were 81 Single Family Homes SOLD in Abbeydale in 2014 with the price range of $390,000 to $186,000. 2014 Population 6,071 2014 Dwellings 1,710 Abbeydale properties are located in the NE Calgary North: 16 Ave. E, South: Memorial DR. E East: Stoney Trail, West: 68 ST.
Condo / Townhouse: There were none townhouse sold in Abbeydale in 2014. 2014 Dwellings Townhouses - 230 units. List of Townhouse Names in Abbeydale: Abbeydale Village, Abberfield Court, Abbeydale Village, Abbeydale Villas and Abbeydale Mews. Acadia Real Estate: There were 74 single family homes SOLD in Acadia in 2016 with a price range of $670k to $267k. Acadia homes for sale are mostly detach homes built in the 60's. Homes in Acadia are dominantly bungalow style and some are splits levels. There are about 10,000 plus residents call Acadia homes and about 2300 plus single family dwellings. Acadia properties are located: SE Calgary North: Heritage DR, South: Southland DR East: Blackfoot TR, West: Macleod Trail. Acadia Condos & Townhouse: There were 19 condos & 10 townhouses SOLD in Acadia in 2016 with a price range of $450k to $140k. There are 2,025 + units of condos in Acadia. Acadia condos for sale are low rise built in back in the 60's, 70's, 80's and the 90's. There are 384 + units of townhomes in Acadia built in the 70's. List of Condos & Townhouses in Acadia: Sierra's Of Heritage, Highland Estates, Candlewood Park and Heritage Green. 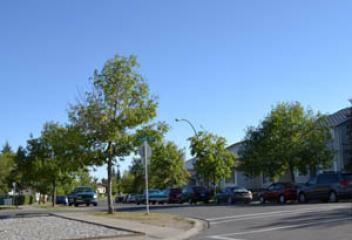 Airdrie was first established as a railway village in 1889 during the construction of the Calgary and Edmonton Railway, named for Airdrie, Scotland. 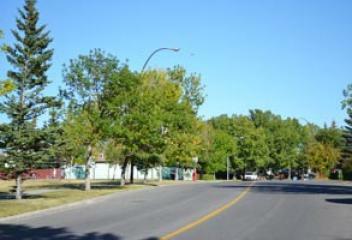 Airdrie is situated on the Queen Elizabeth II Highway (Alberta's busiest highway) which connects Calgary and Edmonton, thus making it a small transportation hub. 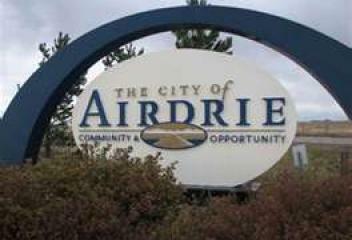 In the 2011 Census, the City of Airdrie had a population of 42,564 living in 15,024 of its 15,638 total dwellings. Albert Park real estate: There were 42 single family homes SOLD in Albert Park in 2016 with a price range of $443k to $210k. 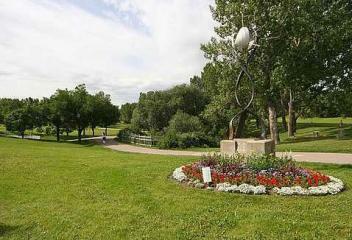 Albert Park homes for sale are scenic community in the SE Calgary and about 6,500 residents. Homes size range from 800 to 1000+ square feet from detach to semi detach. 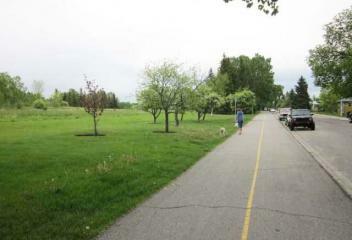 The community also feature lots for infill homes and Franklin C-Train station. 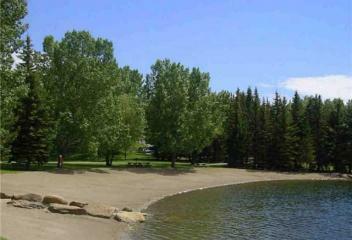 Albert Park properties are located in the SE Calgary. North: Memorial DR, South: 17 Ave. East: 28 ST, West: Barlow Trail. Altadore homes for sale is an inner city community in the SW with a reputation of being upscale, vibrant and trendy. This community were built in the late 40's and have a distinctively wider lots and part of Calgary urban redevelopment plan. New infill homes for sale in Altadore real estate started building in the mid 2000's to present giving buyers an enhance urban and luxury lifestyles. Altadore properties are located in SW Calgary North: 34 Ave, South: 50 Ave East: 14 ST, West: 20 ST.
Altadore Condos & Townhouse: There were 15 condos & 28 townhouses SOLD in Altadore in 2016 with the price range of $650k to $250k. Altadore condos for sale start building in 1982 and in the early 2000s. 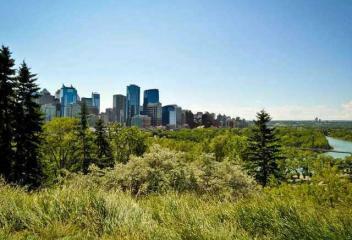 Condos for sale in Altadore range from 500 to 1000 sqft, these are typically low rise. Altadore townhouses for sale start building in the 90's till present. 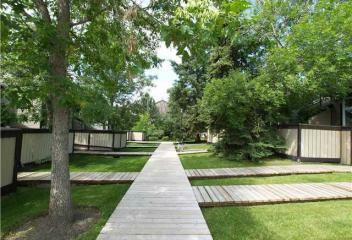 Townhomes for sale in Altadore are row styles and 4plex that range from 1000 to 1500 sqft these are typically 2 storeys. Applewood real estate: There were 32 single family homes SOLD in Applewood in 2016 with a price range of $580k to $250k. 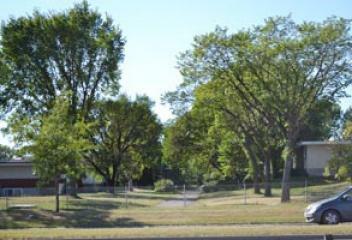 Earliest homes in Applewood Park were built in the early 90's. Applewood homes for sale are mixture of lane homes and move up homes that features attach and detach garage. 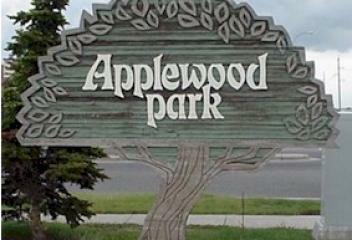 Applewood have about 6,864 resident and 1,389 single family dwellings. 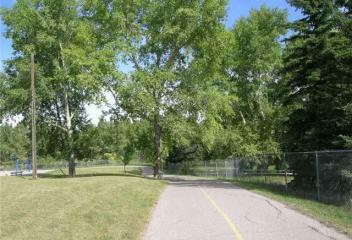 Applewood Park properties are located in the SE Calgary. North: Memorial DR, South: 17 Ave East: Stoney Trail, West: 68 ST.
Applewood Condos & Townhouse: There were 5 condos & 1 townhouse SOLD in Applewood in 2016 with the price range of $278k to $110. There are about 600+ units in Applewood. 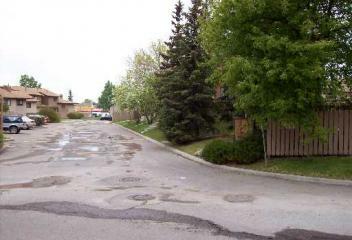 Applewood condos for sale are low rise building built in 2004 to 2008. 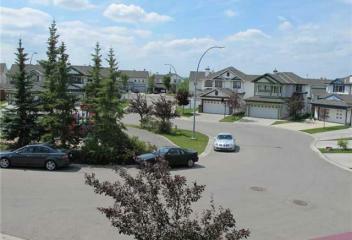 Townhomes for sale in Applewood were built in 2004 and they feature an attach garage. List of Condos / Townhouses in Applewood: Villages at Applewood, The Gala and Pointe of View Applewood. Arbour Lake Real Estate: In 2016 Arbour Lake had 91 single family home sold. They range from 1.1 million to $378k from detach homes to attach homes. In 2015 there were 10,836 population call Arbour Lake homes and 2,847 single family dwellings. Arbour Lake properties are located in NW Calgary in the north: Country Hills BLVD, South: Crowchild Trail, East: Nose Hill DR, West: Stoney Trail. There were 4 townhouse and 32 condos sold in Arbour Lake in 2016 with the price range of $377k to $198k. There are total of 683 condo units and 61 units of townhouses. 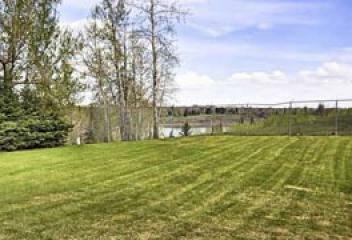 The condos for sale in Arbour Lake are low rise complex built as early as 1997 to 2008. 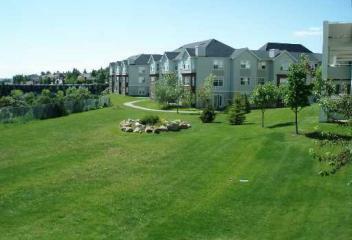 Arbour Lake condos are smartly place all over the community with easy access to amenities and public transportation. Aspen Woods real estate: There were 117 single family homes SOLD in Aspen Woods in 2016 with a price range of 2.78 million to $585k. 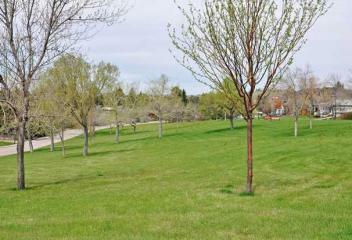 Homes for sale in Aspen Woods are typically over 2000 square feet. With tremendous growth in the area between the early 2000's and today has led to development of new homes throughout the community. 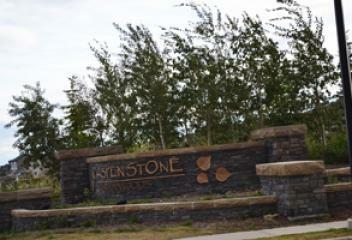 Aspen Woods properties are located in the SW Calgary North: Bow Trail, South: 17 Ave East: 69 ST, West: Stoney Trail. Aspen Woods Condos & Townhouses: There were 10 condos & 41 townhouses SOLD in Aspen Woods in 2016 with the price range of $780k to $225k. Aspen Woods townhouse for sale start developing back in 2006 to 2013. Aspen Woods townhomes range from 1000 to 2000 plus sqft and contains garage. Aspen Woods condos for sale were built in 2007 to 2015 and features underground parking, multi level unit, modern design and offers 600 to 1500 sqft. Auburn Bay Real Estate: There were 282 single family homes SOLD in Auburn Bay in 2016 with a price range of 2.250 million to $338k. Auburn Bay homes for sale are richly detailed, craftsmanship, and vibrant colors give the homes for sale in Auburn Bay a unique appearance. 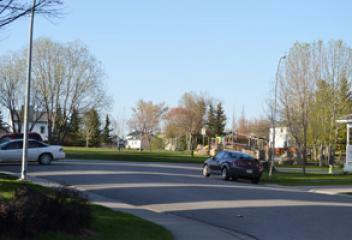 Homes in Auburn Bay were built in 2009 till present. 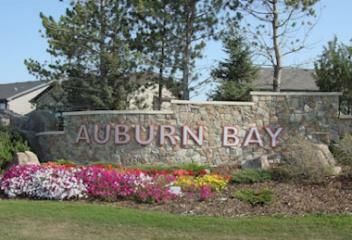 Auburn Bay properties are located in the SE Calgary: North: 22X, South: Seton BLVD East: 52 ST, West: Deerfoot Trail. Auburn Bay multi family homes: There were 17 condos & 32 townhouses SOLD in Auburn Bay in 2016 with the price range of $368k to $199k. 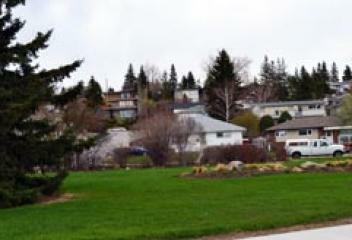 Townhouses for sale in Auburn Bay were built in 2009 till present. 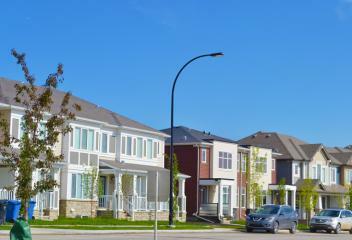 Auburn Bay townhomes are mostly row and stack types and bungalow to 2 storey styles. 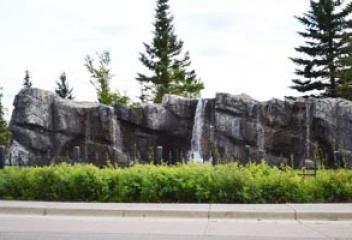 Condos for sale in Auburn Bay were built in 2014 till present. Auburn Bay condos are all low rise that features 1 to 2 bedrooms, underground parking and modern finish. Banff Trail real estate: There were 67 single family homes SOLD in Banff Trail in 2016 with the price range of 1.1 million to $445k. 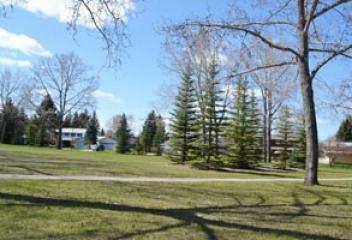 Banff Trail homes for sale are in the NW Calgary, walking distance to University of Calgary and McMahon Stadium. 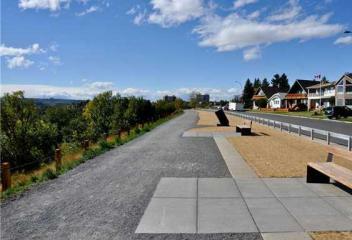 Resident have a quick access to C-Train and Highway 1 going East or West. 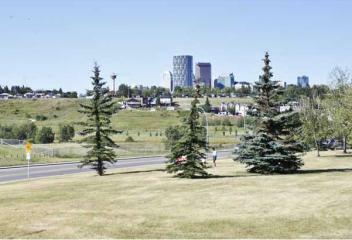 The community is under 9 kms away from Downtown Calgary and 17 kms away from the Calgary Airport. 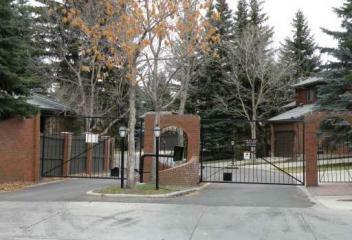 Condo / Townhouse: There were 3 Condos / Townhouses SOLDS in Banff Trail in 2012. 2011 Population 3,582 2011 Dwellings 1,874 Locations: Quadrant: Northwest Calgary North: Canmore Ave, South: 16 St, East: 19 ST, West: Crowchild Trail. Bankview real estate : There were 19 single family homes SOLD in Bankview in 2016 with a price range of 1.3 million to $190k. Bank view homes for sale are mixture of new and old homes, built as early at 1912 till present. 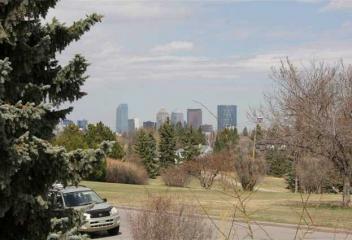 There are about 5500 residents call Bankview homes and they have a walking distance to Downtown Calgary. Bankview properties are located in the SW Calgary: North: 17 Ave. SW, South: 26 AVE. SW East: 14 St SW , West: 19 St SW.
Bankview Condos & Townhouses: There were 49 condos & 13 townhouses SOLD in Bankview in 2016 with a price range of $665k to $125k. Bankview condos for sale are mostly low rise building built as early of 1960's. Each condos offers unique floor plan, ranging from 400 to 1500+ square feet. Bankview townhomes for sale mostly built in the 2000's. The homes features open kitchen, garage, and maintenance free life styles. Bayview real estate: There were 6 single family homes SOLD in Bayview in 2016 with a price range of $1.88 million to $795k. 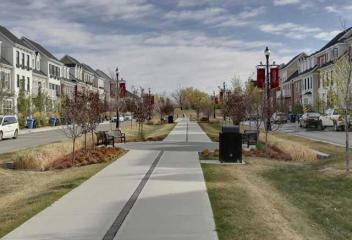 Bayview homes for sale are small community in SW Calgary. Its so small that theres only 249 single family homes. Earliest homes in Bayview were built in the late 60's. 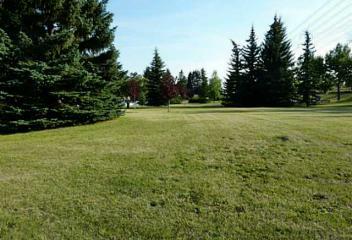 Bayview homes for sale features big lot size, private yards and properties size ranging from 2000+ square foot. Condo / Townhouse: There were 2 Condos / Townhouses SOLDS in Bayview in 2012. Beddington real estate: There were 112 single family homes SOLD in Beddington in 2016 with the price range of $633k to $236k. Beddington homes for sale are mixtures of detach and semi detach homes size ranging from 1000 to 1900 square feet. Homes in Beddington features original interior finish to fully renovated interior finish. 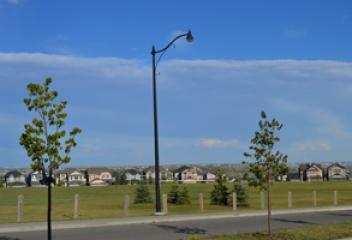 Beddington properties lies between NW & NE Calgary: North: Beddington Trail, South: Beddington Blvd. East: Deerfoot Trail N, West: 14 St NW. Beddington Condo & Townhomes: There were 3 condos & 20 townhouses SOLD in Beddington in 2016 with the price range of $319k to $223k. Beddington townhomes for sale early built was from 1979 - 1981 and 1991. The townhomes style are mostly 2 storeys that features a garage and exterior maintenance free life style. Beddington condos for sale were built in 2007. There are about 37 units that feature a 2 bedrooms and 2 baths unit and an underground parking. Beltline Condos Real Estate: There were 438 condos 13 townhouses SOLD in 2016 with a price range from 1.48 million to $148k. 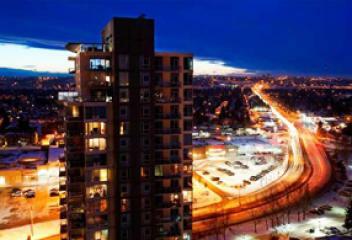 Beltline condos for sale are mainly high rise condominium built in the 70's till this day. 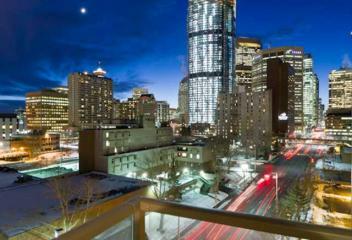 Beltline condos comes with different styles from studio, loft, 1 or more bedrooms and penthouse. 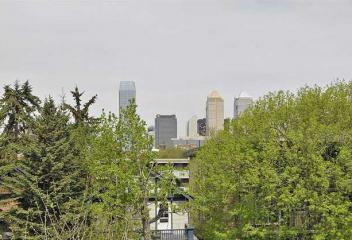 Connaught condos for sale are located in the SW Calgary: North: 10 AVE., South: 17 AVE. All the way to Victoria Park. 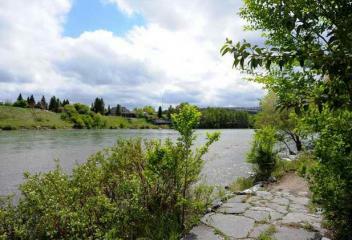 Bowness real estate: There were 116 single family homes SOLD in Bowness in 2016 with a price range of 1.42 mil to $257k. Some Bowness homes for sale extensive interior updates while others present an opportunity for buyers to put their personal stamp on. The homes in Bowness are mixture of old and new detach to semi detach houses that range from 800 to 3000 sqft. 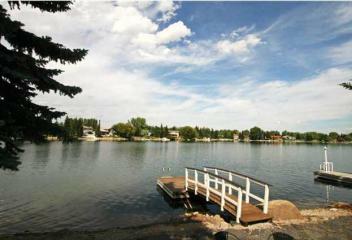 Bowness properties are located in NW Calgary: North: Bow River, South: Trans Canada HWY. East: Bow River, West: Stoney Trail W.
Bowness Condos & Townhouses: There were 10 condos & 19 townhouses SOLD in Bowness in 2016 with a price range of $345K to $117k. 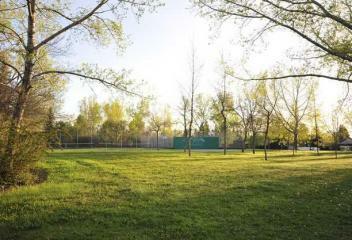 Bowness condos for sale size range from 500 to 1000 square feet built as early 1980's to 2001. Standard features 2 bedroom, 2 baths and underground parking. 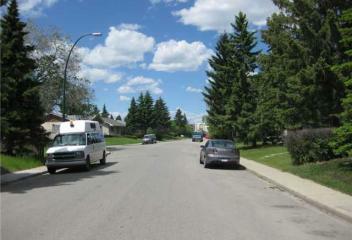 Bowness townhomes for sale were mostly built in the 70's size range from 900 to 1400 plus square feet. 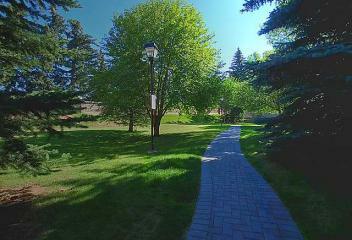 The condos and townhouses for sale in Bowness offers exceptional homeownership opportunities. Braeside real estate: There were 42 single family homes SOLD in Braeside in 2016 with a price range of $676k to $308k. 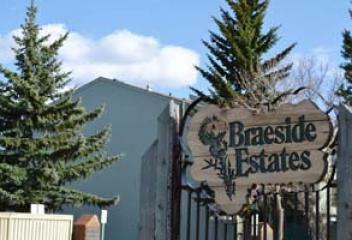 Braeside is a community in the southwest Calgary. 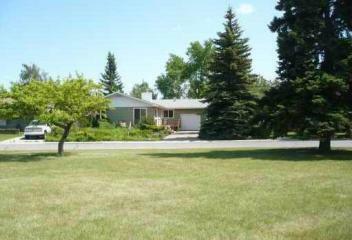 Braeside homes for sale were built in the 60's and mostly bungalow, bi-level styles homes. 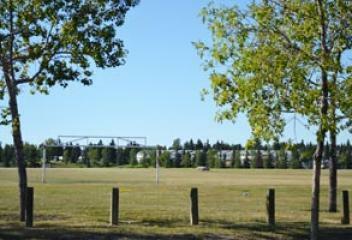 Braeside residents enjoys easily access the recreational opportunities of Fish Creek Provincial Park and the Glenmore reservoir, and is also conveniently located nearby major roadways and the C-Train. Braeside Condos & Townhouses: There were 10 condos & 38 townhouses SOLD in Braeside in 2016 with the price range of $347k to $151. Braeside townhouses for sale were built it the 70's with a size range of 1000 to 1500+ square feet. Many townhomes in Braeside features 2 to 4 bedrooms, garage and private backyard. 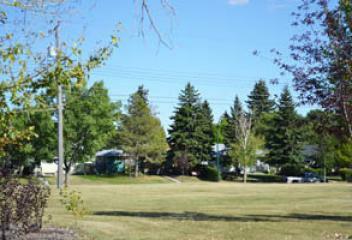 Braeside condos for sale are low rise built in 1972 and 1977. The size range from 700 to 1000 square feet. Brentwood real estate: There were 75 single family homes SOLD in Brentwood in 2016 with the price range of 1 million to $412k. 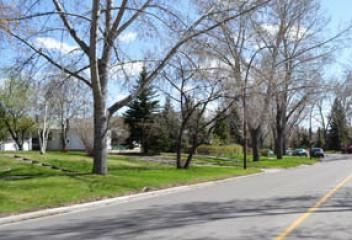 Brentwood real estate is a community in the northwest Calgary. Brentwood homes for sale features quite street, big yard and 60’s charm and mostly bungalow, bi-level styles homes. 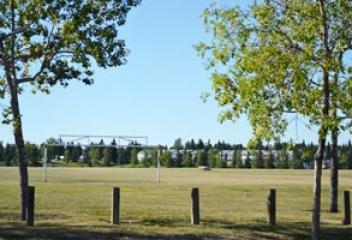 Brentwood residents enjoys easily access the recreational opportunities of Nose Hill Park and Sir Winston Churchill Aquatic & Recreation Centre, and is also conveniently located near U of C.
Briar Hill real estate: There were 25 single family homes SOLD in Briar Hill in 2016 with the price range of 3 million to $500k. 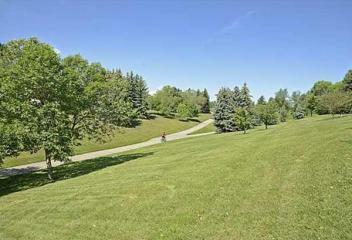 Briar Hill real estate is a quite, mature and fantastic views community in the northwest Calgary. 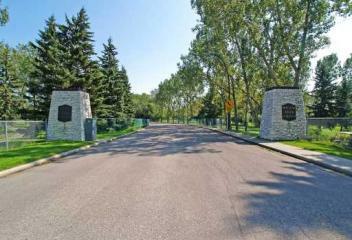 Briar Hill homes for sale were built in the 50's till present and some luxury homes in NW Calgary. 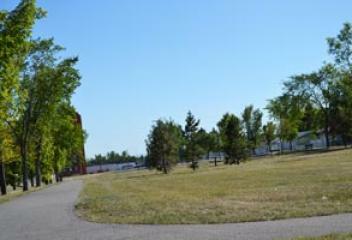 The residents here enjoys easily access Highway 1 and North Hill Mall, and is also conveniently located nearby SAIT, the LRT system and University of Calgary. Briar Hill Condos & Townhouse: There were 18 condos SOLD in Briar Hill in 2016 with the price range of $825k to $175. Briar Hill condos for sale are low and high rise condos built 1968, 2002 and 2003. 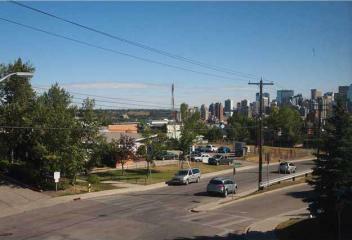 The condos feature 500 to 1500 square feet, 1 or more bedrooms and close to downtown. 2014 Dwellings Condos - 369 units. Townhouses - 33 units. 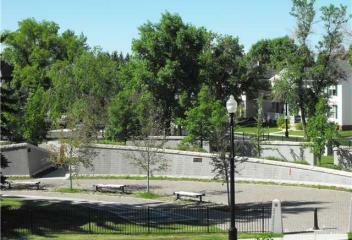 List of Condos / Townhouses in Briar Hill : Cedar Brae Gardens and The Renaissance. Bridgeland Real Estate: There were 37 single family homes SOLD in Bridgeland in 2016 with the price range of $1.33 million to $350k. 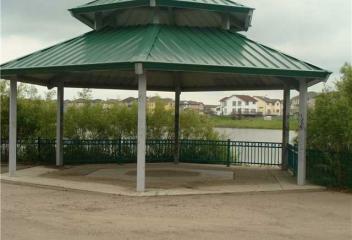 Homes for sale in Bridgeland are very diverse with many different styles of housing available. The trendy neighbourhood has seen an overhaul in recent years. Bridgeland properties is located in the NE Calgary North: Bridge CR, South: Memorial DR. East: Deerfoot TR, West: Edmonton TR. Bridgeland Condos & Townhouses: There were 47 condos & 10 townhouses SOLD in Bridgeland in 2016 with the price range of $675k to $155k. 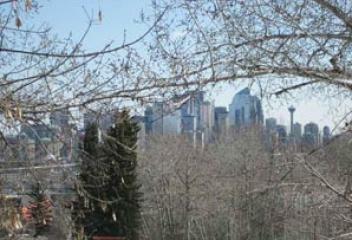 Condos for sale in Bridgeland are low rise and built in the 80's, 90's, 2000's and present. They features loft style to a penthouse and some has a great view of the city. List of condos & townhouses in Bridgeland: Pontefino, Bridgeland Manor, Bella Lusso, Bridgeview Park Place, Bridgeland Crossing & Bridgeland Hill. Bridlewood real estate: There were 132 single family homes SOLD in Bridlewood in 2016 with a price range of $640k to $325k. Bridlewood homes for sale was established in the 1998 and somewhat unique with astonishing variety of homes, ranging with different styles, price ranges and attach to detach design homes, with the small town feel and moderately-priced homes have attracted. 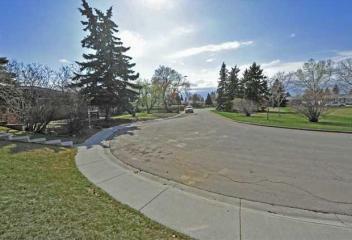 Bridlewood properties are locate in SW Calgary North: 162 Ave., South: 22X. East: James McKevitt, West: 37 ST.
Bridlewoods Condos & Townhouses: There were 31 Condos & 13 Townhouse SOLD in Bridlewood in 2016 with a price range of $330k to $167k. 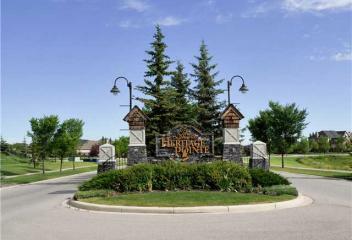 Bridlewood condos for sale built in the mid 2000's. 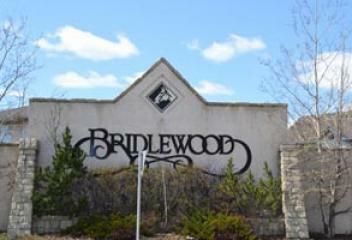 There are 792 condos units in Bridlewood ranging from 600 to 1000 sqft, 1 to 2 bedrooms and low rise building. 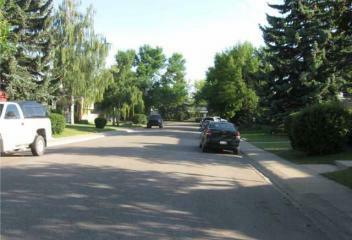 Bridlewood townhouses for sale are row styles homes built in 1999 and 2005. 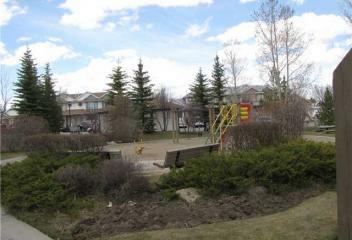 The townhomes in Bridlewood ranging from 1200 to 1500 sqft. contains a garage, 2 to 3 bedrooms and master suites. Britannia real estate: There were 6 single family homes SOLD in Britannia in 2016 with a price range of 2.9 million to $849k. 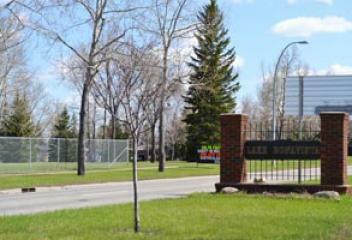 Britannia homes for sale are located at SW inner city. There are about 252 dwellings built as early 1955 and still building with a size range of 1500 to 3000 plus square feet. Britannia properties are located in the SW Calgary North: Britannia DR., South: 50 Ave. East: Elbow DR., West: Elbow River. 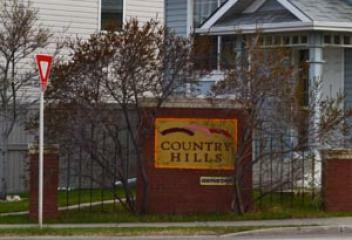 Condo / Townhouse: 1 Condo / Townhouse SOLD 2015 Population 746 2015 Dwellings 314 Locations: Quadrant: Southwest Calgary North: Britannia DR., South: 50 Ave. East: Elbow DR., West: Elbow River. 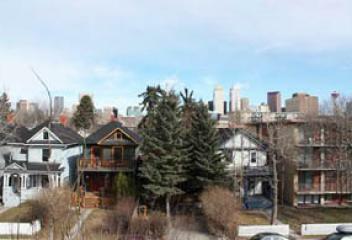 Unique single family homes and condominiums abound in the Calgary Inner City communities, which some of the communities features the downtown views. The distinct neigbourhoods in every quadrants of the city offers every future home owners different choices of home ownership. 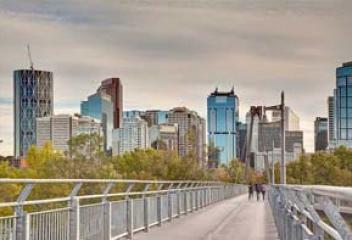 Calgary Inner city living, friendly neigbourhoods, close to ammenities, work, shoppings, downtown Calgary and easy to commute to just about everywhere, make it a popular place to live. 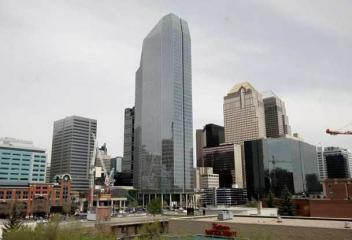 In recent years, the Calgary real estate infills have become a thriving market and the preferred lifestyle choice for many Calgarians. 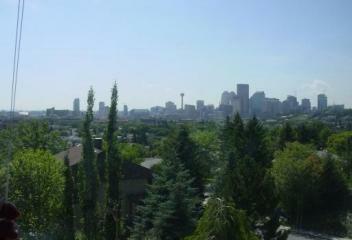 Infill homes for sale can be found in every quadrants in Calgary, with the majority concentrated in the NW and SW part of of the city. Infill properties have something to offer for everyone including quick access to downtown and amenities as well as unique, custom designs in mature, established communities. Cambrian Height real estate: There were 28 single family homes SOLD in Cambrian Heights in 2016 with the price range of $868k to $340k. 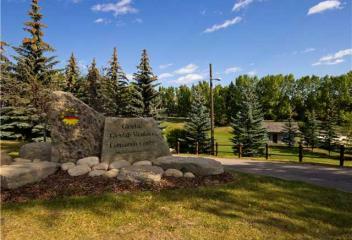 Cambrian Heights real estate and homes for sale is a quite and mature community in the northwest Calgary. Cambrian Heights homes were built in the mid 50's with a big backyard. 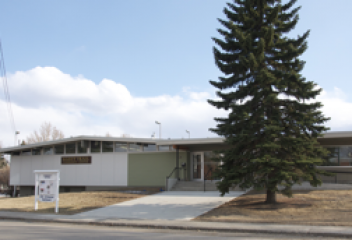 The residents here enjoys easily access to downtown and North Hill Mall, and is also conveniently located nearby SAIT, University of Calgary and Confederation Park. Canyon Meadows Real Estate: There were 91 single family homes SOLD in Canyon Meadows in 2016 with a price range of 1.9 million to $273k. 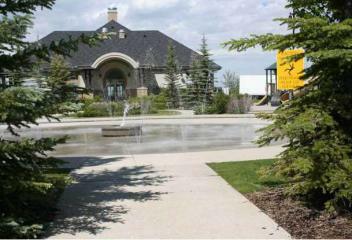 Canyon Meadows homes for sale are mixture of luxury homes. move up and starter homes. 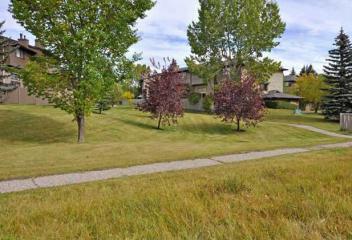 Homes in Canyon Meadows for Sale were built in the late 60's and early 70's and some luxury homes in the 90's. 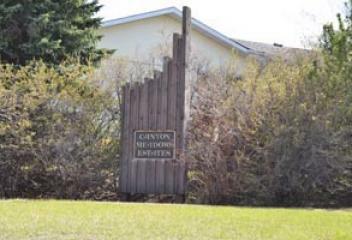 Canyon Meadows properties are located in the SW Calgary North: Anderson RD., South: Canyon Meadows DR. East: Elbow DR., West: 14 ST.
Condo / Townhouse: There was only 1 Condo SOLD in Canyon Meadows Estates in 2012. 2011 Population (Canyon Meadows Area) 7,895 2011 Dwellings 3,191 Locations: Quadrant: Southwest Calgary North: Anderson RD., South: Canyon Meadows DR. East: Elbow DR., West: 14 ST.
Canyon Meadows Condos & Townhouses: There were 34 condos & 13 townhouses SOLD in Canyon Meadows in 2016 with the price range of $412k to $152k. 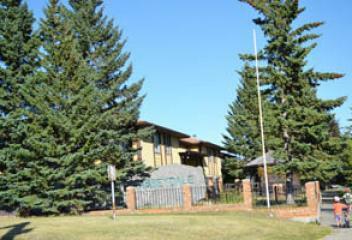 Canyon Meadows townhouses for sale were built in the 70's. The townhomes in Canyon Meadows are mostly 2 storey and splits styles with a size range of 900 to 1500 square feet and features 2 or more bedrooms. Capitol Hill real estate: There were 65 single family homes SOLD in Capitol Hill in 2016 with the price range of 1.4 millionn to $322k. 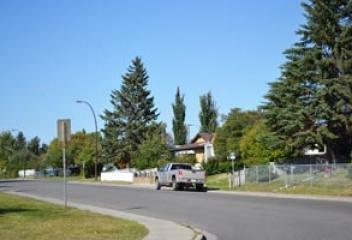 Capitol Hill homes & real estate is a quite and mature inner city community in the northwest Calgary. 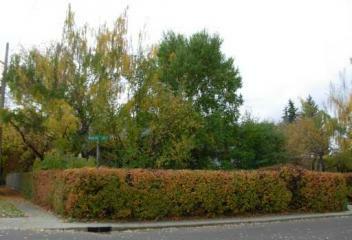 Capitol Hill homes for sale were establish in the late 40's that features huge and wide lot. Most of lots are RC-2 zoning and it ideal for Infill. 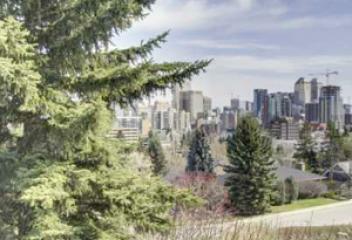 Capitol properties are in the NW Calgary North: Confederation Park., South: 16 AVE. East: 10 ST., West: 19 ST.
Capitol Hill Condos & Townhouses: There were 4 condos & 1 townhouse SOLD in Capitol Hill in 2016 with a price range of $372K to $215k. Most Capitol Hill townhouses for sale are just been recently built in the past couple of years. The townhomes in Capitol Hill are mostly 2 storey with a size range from 1000 to 1500 plus square feet and features modern finish. Capitol Hill condos for sale were built in the 50's that was use as rental apartment but converted to condos. 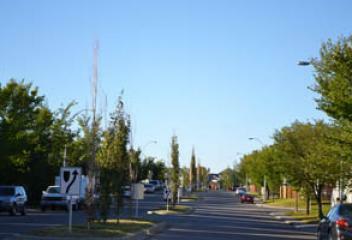 Carrington real estate is the first development approved under the City’s new Municipal Development Plan which incorporates numerous sustainability objectives. Carrington homes for sale are inspired by the English heritage of the name. We combine the traditional forms of the English Carriage House style with modern detailing, creating a community that is fresh and urbanized. 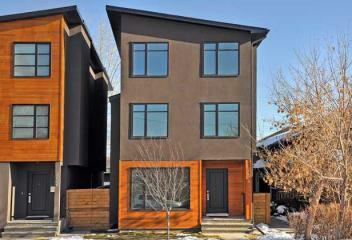 Merging urban Carriage House exteriors with current Prairie Modern and Urban Modern architectural styles. Castleridge real estate: There were 73 single family homes SOLD in Castleridge in 2016 with a price range of $503k to $240k. Castle ridge homes for sale were establish in the late 80's mostly single detach homes and semi-detach (duplex). Home range from 700 to 2000 plus square feet and feature 2 or more bedrooms. Castleridge properties are located in the NE Calgary North: 64 AVE., South: Castlebrook DR. East: Falconridge BLVD., West: Castleridge BLVD. Single Family Home: There were 7 Single Family Homes SOLDS in Castleridge Estates in 2012. 2011 Population (Castleridge Area) 6,098 2011 Dwellings 1,968 Locations: Quadrant: Northeast Calgary North: Castlebrook DR., South: Castleridge DR. East: Castleridge BVLD., West: Falconridge BLVD. Cedarbrae real estate: There were 74 single family homes SOLD in Cedarbrae in 2016 with a price range of $548k to $239k. 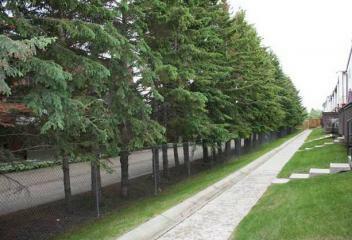 Cedarbrae homes for sale are mixture of detach and attach homes built as early 1973 to 1983. The homes in Cedarbrae for sale size range from 1000 to 2000 square feet and it comes with different style from bungalow, splits and 2 storey. 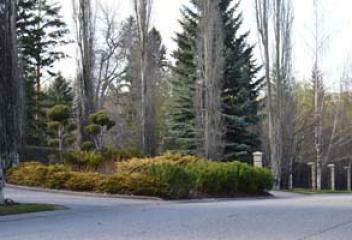 Cedarbrae properties are locate in the sw Calgary North: Southland DR., South: Anderson RD. East: 24 ST., West: 37 ST.
Cedarbrae Townhouse: There were 20 townhouses SOLD in Cedarbrae in 2016 with a price range of $430k to $239k. Cedarbrae townhouse for sale start building back in 1979 and the newest are 2004. The townhomes styles comes with variety of styles from bungalow, splits and 2 storeys. Homes range from 500 to 1500 square feet and features 2 or more bedrooms, garage and 1 or more bathrooms. 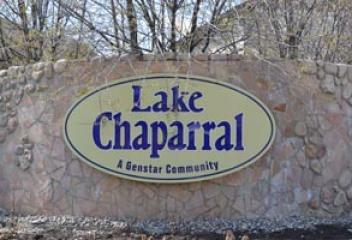 Chaparral real estate: There were 171 single family homes SOLD in Chaparral in 2016 with a price range of 1.325 million to $300k. 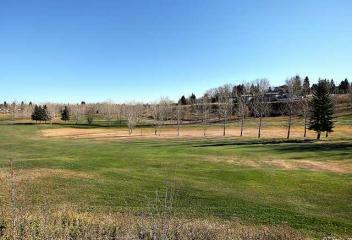 Chaparral homes for sale is a golf community nestled in the SE Calgary. The community includes traditional homes built in the 90’s to 2015 Homes range in size from 1,200 to 3,000+ square feet. Homes for sale in Chaparral contain spacious open kitchens with breakfast nooks, master suites with double-vanity sinks, and private backyards. Chaparral Condos & Townhomes: There were 6 condos & 37 townhouses SOLD in Chaparral in 2016. 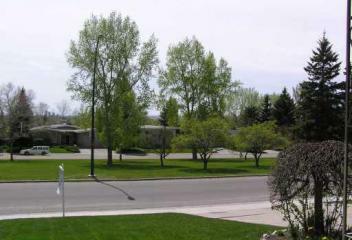 Chaparral townhomes for sale are mixture of bungalow and 2 storey styles built in 1998 to 2009. The townhouse features garage, open floor plan and ideal for first time home buyer. Chaparral condos and townhomes are located in the SE Calgary North: 22X, South: 194 AVE. East: Chaparral Ridge CL., West: Macleod TR. Single Family Home: There were 30 Single Family Homes SOLD in Chaparral Valley in 2012. 2011 Population (Chaparral Area) 11,151 2011 Dwellings 3,629 Locations: Quadrant: Southeast Calgary North: 22X, South: 194 AVE. East: Bow River, West: Chaparral Ridge CL. 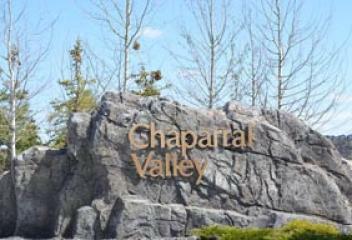 Condo / Townhouse: There were 7 Condos / Townhouses SOLDS in Chaparral Valley in 2012. 2011 Population (Chaparral Area) 11,151 2011 Dwellings 3,629 Locations: Quadrant: Southeast Calgary North: 22X, South: 194 AVE. East: Bow River, West: Chaparral Ridge CL. 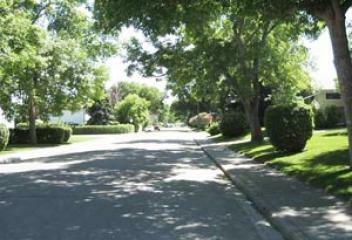 Single Family Home: There were 51 Single Family Homes SOLD in Charleswood in 2012. 2014 Population 3,357 2014 Dwellings 1,494 Locations: Quadrant: Northwest Calgary North: John Laurie BLVD., South: Morley TR. 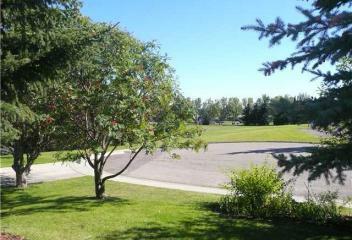 East: 19 ST., West: Charleswood DR. Single Family Home: There were 25 Single Family Homes SOLD in Chinook Park in 2012. 2014 Population 1,703 2014 Dwellings 587 Locations: Southwest Calgary North: 75 ST., South: Heritage DR. East: Elbow DR., West: 14 ST.
Condo / Townhouse: There were 3 Condos / Townhouses SOLD in Chinook Park in 2012. 2014 Population 1,703 2014 Dwellings 587 Locations: Southwest Calgary North: 75 ST., South: Heritage DR. East: Elbow DR., West: 14 ST. Single Family Home: There were 16 Single Family Homes SOLD in Christie Park in 2012. 2014 Population 2,180 2014 Dwellings 728 Locations: Southwest Calgary North: Stratcona Park., South: 17 AVE. East: Sarcee TR., West: 69 ST.
Villas / Townhouse: There were 10 Condos / Townhouses SOLD in Christie Park in 2012. 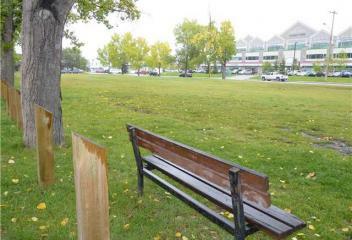 Locations: Southwest Calgary North: Stratcona Park., South: 17 AVE. East: Sarcee TR., West: 69 ST. In 2016 the Citadel real estate single family homes had 109 homes sold with a price range from $711k to $364k. There are 10,171 population called Citadel homes and 2,820 detach single family total dwellings. 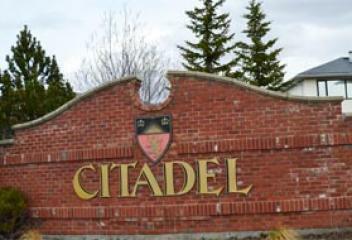 Citadel homes for sale are 1,000 sqft. to 2,500 sqft, they are mostly 2 storeys, bungalow and splits styles. Citadel properties are located in NW Calgary: North: Stoney Trail N, South: Country Hills Blvd, East: Sarcee Trail N, West: Stoney Trail. There were 11 condos and 20 townhouses SOLD in Citadel in 2016 with a price range from $377k to $220k. Citadel townhouse for sale start building at 1997 till 2004. Citadel townhomes are mostly 2 storey style that features 2 or more bedrooms and garage. Condos and Townhouses Name: Citadel - 40 units. Citadel Lane - 54 units. Citadel Pointe - 463 units mixture of apartments and townhouses Citadel Terrace - 48 units The Outlook of Citadel - 64 units. Single Family Home: There were 15 Single Family Homes SOLD in Cliff Bungalow in 2012. 2011 Population 1,912 2011 Dwellings 1,376 Locations: Quadrant: Southwest Calgary North: 17 AVE., South: Elbow DR. East: 4 ST., West: 5A ST.
Condo / Townhouse: There were 41 Condos / Townhouses SOLD in Cliff Bungalow in 2012. 2014 Population 1,912 2014 Dwellings 1,376 Locations: Quadrant: Southwest Calgary North: 17 AVE., South: Elbow DR. East: 4 ST., West: 5A ST.
Coach Hill real estate: There were 34 single family homes SOLD in Coach Hill in 2016 with a price range of $975k to $372k. 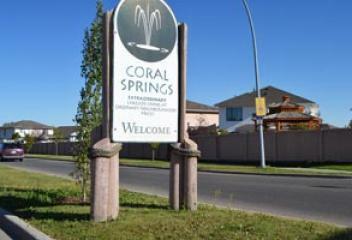 2014 Population 3,194 2014 Dwellings 1,480 Coach Hill properties are located in SW Calgary. North: Old Banff Coach RD., South: Bow TR. East: Coach Hill RD., West: Coach Hill RD. Coach Hill Condos & Townhouses: There were 8 condos & 23 townhouses SOLD in Coach Hill in 2016 with a price range of $430k to $178k. Coach Hill condos for sale are mixture of low and high rise built in 1978 and 1981. 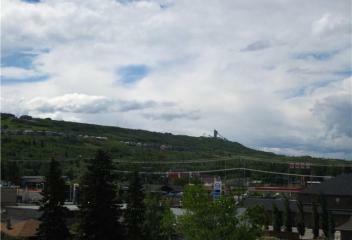 The condo feature 1 to 3 bedrooms and a great mountain and downtown view. Coach Hill townhouse for sale were built in 1978 and the latest was 1999. The townhome living space size range from 1000 to 1500 plus square feet. Single Family Home: There were 27 Single Family Homes SOLD in Collingwood in 2012. 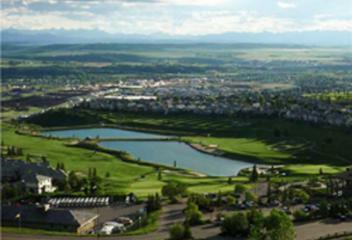 2014 Population 2,231 2011 Dwellings 977 Locations: Quadrant: Northwest Calgary North: John Laurie BLVD., South: Confederaration Park Golf Course. East: 14 ST., West: 19 ST.
Condo / Townhouse: There were 4 Condos / Townhouses SOLD in Collingwood in 2012. 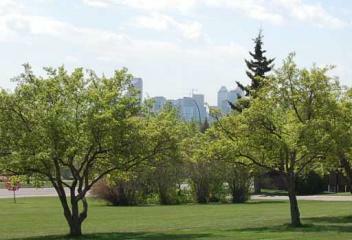 2014 Population 2,231 2014 Dwellings 977 Locations: Quadrant: Northwest Calgary North: John Laurie BLVD., South: Confederaration Park Golf Course. East: 14 ST., West: 19 ST. Single Family Home: There were 3 Single Family Homes SOLD in Connaught in 2012. Locations: Quadrant: Southwest Calgary North: 10 AVE., South: 17 AVE. East: 4 ST., West: 14 ST.
Copperfield Real Estate: There were 271 Single Family Homes SOLD in Copperfield in 2016 with the price range of $635k to $322k. Copperfield homes for sale comes in different styles and sizes to appeal to a variety of tastes and budgets. Homes for sale in Copperfield were built in the early 2000's till present day. 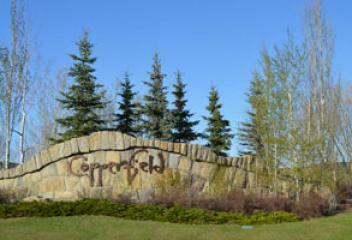 Copperfield properties are located in the SE Calgary North: McIvor BLVD., South: 22X. East: East Freeway., West: 52 ST.
Copperfield Condos & Townhouses: There were 37 condos & 53 townhouses SOLD in Copperfield in 2016 with a price range of $365k to $179k. Construction of condos for sale in Copperfield start at 2013 till today. Copperfield condos are low rise style but features a good option for a first time home buyers and investor. The townhouse in Copperfield star developing earlier than the condos. Townhouses for sale in Copperfield were built in 2006 till 2016 and it good option than the condo living. Single Family Home: There were 64 Single Family Homes SOLD in Coral Springs in 2014 with the price range of $860,000 to $280,000. 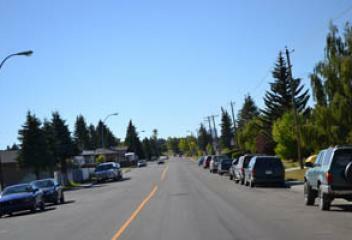 2014 Population 5,838 2014 Dwellings 1,503 Locations: Quadrant: Northeast Calgary North: 64 AVE., South: McKnight BLVD. East: Stoney TR., West: 68 ST.
Condo / Townhouse: There were 2 Condos / Townhouses SOLD in Coral Springs in 2012. 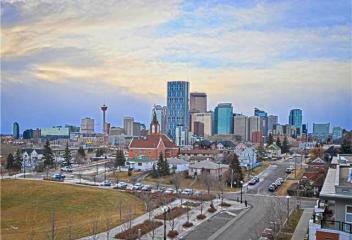 2011 Population 5,813 2011 Dwellings 1,898 Locations: Quadrant: Northeast Calgary North: 64 AVE., South: McKnight BLVD. East: Stoney TR., West: 68 ST.
Cougar Ridge real estate: There were 111 single family homes SOLD in Cougar Ridge in 2016 with a price range of $950k to $444k. Cougar Ridge homes for sale are 95% detach homes built in 2001 and the latest was 2012. The homes size range from 1300 to 3000 plus square feet that offers 3 or more bedrooms and some features some luxury finish inside and outside. 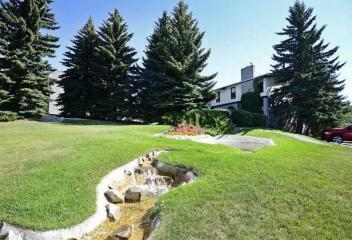 Cougar Ridge properties are located in SW Calgary North: Winter HT., South: Old Banff Coach RD. East: Stoney TR., West: Patterson. 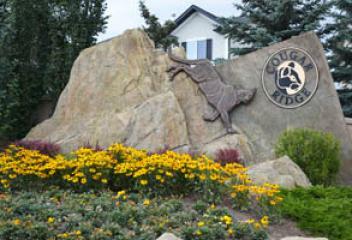 Cougar Ridge Townhouse: There were 9 townhouses SOLD in Cougar Ridge in 2016 with a price range of $366k to $275k. 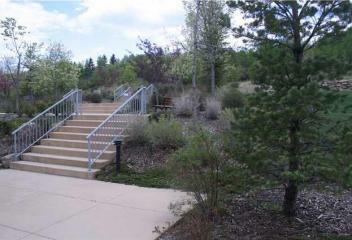 Cougar Ridge townhouse for sale offer buyers an excellent option for the first time home buyer. The townhomes were earlier built back in 2003 and it comes with different style from 2 storey, splits and bungalow. The townhomes for sale in Cougar Ridge size range from 800 to 1300 plus square feet. 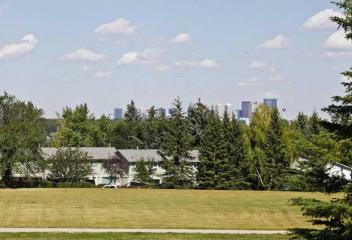 Covenant House condos for sale is locate at 222 Eagle Ridge Dr SW. This complex is a low rise complex with 10 units built in 1967. Covenant House complex has an age restriction bylaw, underground parking, storage locker room and AC central. There was only one condos sold in the Covenant House in 2016 with a price just over $800k. Coventry Hills Townhouse: There were 16 townhouses SOLD in Coventry Hills in 2016 with a price range of $316k to $247k. 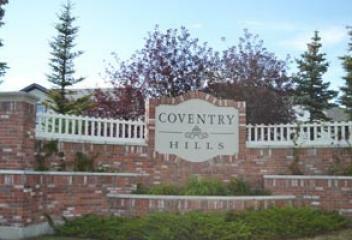 Townhouses for sale in Coventry Hills are built in 2004 and 2013 to 2014. The townhomes features an attach garage, 2 to 3 bedrooms and some are modern finish. Cranston Multi Family Homes: There were 22 condos & 55 townhouses SOLD in Cranston in 2016 with a price range of $750k to $199k. The Cranston townhouse for sale were built in 2006 and still continuing. The townhomes are mostly 2 storey and stack bungalows showcasing an attach garage and modern finish. The Cranston condos for sale are low rise built back in 2006 till present. The condo features 1 to 2 bedrooms, underground parking and walking distance to a lot of amenities. 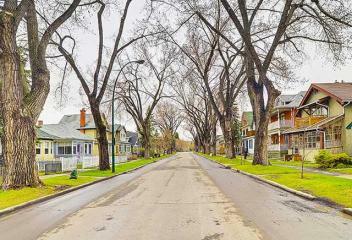 Crescent Heights real estate: There were 40 Single Family Homes SOLD in Crescent Heights in 2016 with a price range of $2.2 plus million to $330k plus. 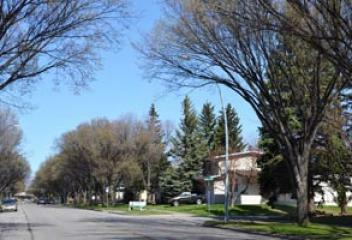 The population of Crescent Heights are 6,271 2015 Dwellings Single Family Home - 1,140 Duplex - 76 Locations: Quadrant: Northeast & Northwest Calgary North: 16 AVE., South: Memorial DR. East: Edmonton TR., West: 4 ST.
Crescent Heights Condos - Townhouses: There were 39 Condos & 9 Townhouses SOLD in Crescent Heights in 2016 with a price range over $600K and as low as $155K. In 2015 Crescent Heights Condos & Townhouse total dwellings is just about over 2,000. 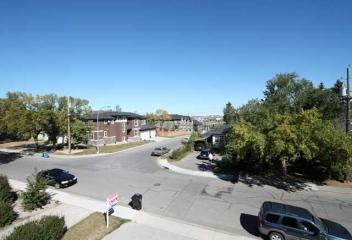 Most of townhouse for sale in Crescent Heights has a modern finish and some of them are 4 plex. 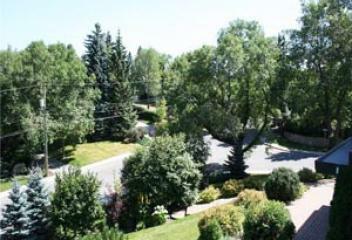 Most condos for sale in Crescent Heights are old low rise condos built in the early 80's. Crestmont Real Estate: There were 19 Homes SOLD in Crestmont in 2016 with a price range of just over 1 million to just below $500K. The population of Crestmont are just under 1,500. 2015 Dwellings Single Family Home - 462 Crestmont properties are located in SW Calgary. 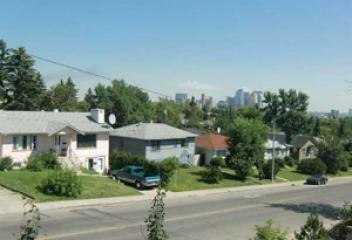 North: 16 AVE., South: MD of Rocky View. East: COP, West: MD of Rock View. Currie Barracks real estate: There were 10 single family homes SOLD in Currie Barracks in 2016 with a price range of 1.1 million to $830k. Just west of Crowchild, CFB Currie Barracks real estate is a quite inner city community former Canadian Forces Base in the southwest Calgary. Homes for sale in Currie Barracks are mostly estate or luxury homes with a lots of upgrades, 3 to more bedrooms, open floor plan and master bedroom with ensuites. Homes range from 2000 to 3000 square feet. Currie Barracks Condos & Townhouses: There were 6 condos & 2 townhouses SOLD in CFB Currie in 2016 with a price range of $845k to $403k. Currie Barracks condos for sale begin in 2015, the condo features 1 or more bedrooms, open floor, and high ceilings. The unit size range from 800 to 1500 plus square feet. Currie Barrack townhouse for sale are mostly 2 and 3 storey, built as early 2012 that features luxury finish. The unit size range from 1200 to 3000 square feet. Dalhousie Real Estate : There were 72 Single Family Homes SOLD in Dalhousie in 2016 with a price range of $800k to $325K. Dalhousie population is just over 9,000. There are about 5316 single family home dwellings and 858 duplex. 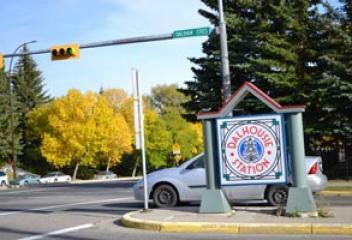 Houses for sale in Dalhousie are located: Quadrant: Northwest Calgary North: John Laurie BLVD., South: Crowchild TR. 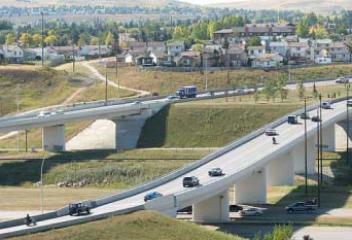 East: Shaganappi TR., West: Sarcee TR. Dalhousie Condos & Townhouses: There were 24 Condos & 20 Townhouses SOLD in Dalhousie in 2016 with a price range under $390k to $160k. Dalhousie has 1,376 condos that are built in the late 1970's that it comes with different size and amount of total bedrooms. 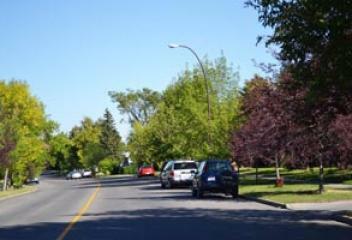 There are about 1,399 townhouses in Dalhousie built in the mid 70's that comes with or without garage, styles and different sets of bylaw that are ideal for any different buyers. Deer Ridge Real Estate: There were 40 single family homes SOLD in Deer Ridge in 2016 with a price range of the mid $500K to as low $275K. 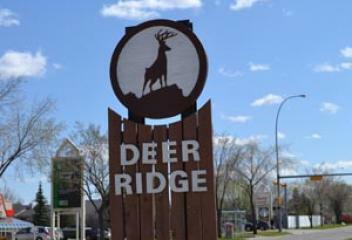 Deer Ridge has a population of just above 4,000. There are about 858 single family homes and about 140 semi detach homes in Deer Ridge. 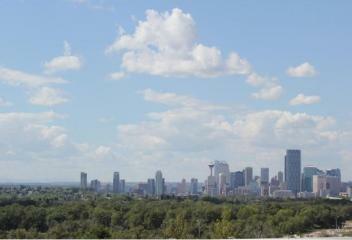 Deer Ridge real estate is located: Southeast Calgary Quadrant. North: Canyon Meadows DR., South: 146 AVE. East: Deer Run BLVD., West: Bow Bottom TR. Villas & Townhouse: There were 17 Townhouses and 5 Villas SOLD in Deer Ridge in 2016 with a price range of just over $400K to just under $200K. 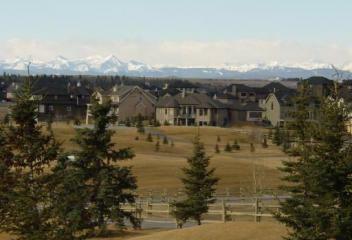 There are about 400 plus townhouses and 45 villas in Deer Ridge. 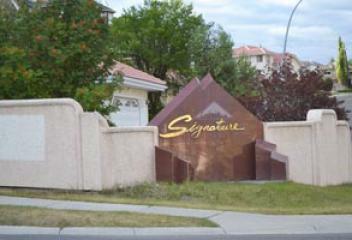 The townhouses for sale in Deer Ridge were mostly built in the early 70's and the villas for sale in Deer Ridge were built in the 90's with an adult living restriction. Deer Run Real Estate: There were 49 Single Family Homes SOLD in Deer Run in 2016 with a price range just above $700k to $285K. Deer Run population is about 5,341. There are about 1,500+ single family homes and just above 100 duplex in Deer Run. 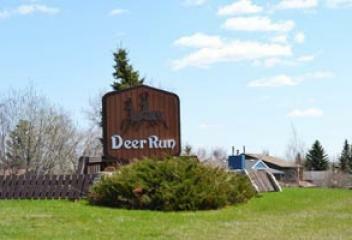 Deer Run real estate is located in the Southeast Calgary. 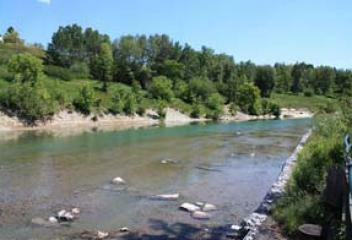 North: Canyon Meadows DR., South: Bow River. East: Deer Run BLVD., West: Bow Bottom TR. Deer Run Townhouse: There were 3 townhouses SOLD in Deer Run in 2016 with a price of mid to lo $200K . There are about 200 townhouses in Deer Run and built at 1979 and 1981. Townhouse for sale in Deer Run are all mostly 2 storeys or bungalow and with range from 2 to 3 bedrooms. Diamond Cove Real Estate: There were 10 Single Family Homes SOLD in Diamond Cove in 2016 with a price range of high $800k to $457K. Diamond Cove has about 699 population. Diamond Cove has only single family homes totalling at 271 and built in the early 90's to mid and they are mostly 2 storeys, splits and bungalows. 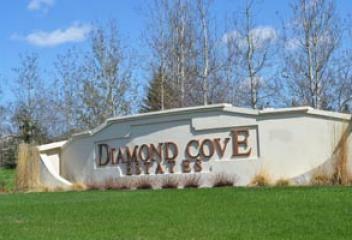 Diamond Cove Homes for sale are located Southeast Calgary North: Anderson RD., South: Queensland East: Bow River., West: Bow Bottom TR. Discovery Ridge Real Estate: There were 41 Single Family Homes SOLD in Discovery Ridge in 2016 with a price range over 1.3 million to $540K. Discovery Ridge has a population about 4,350. There are about 1,696 single family homes in Discovery Ridge. Houses for sale in Discovery Ridge are built in the early 2000. It come with different styles and luxury homes. 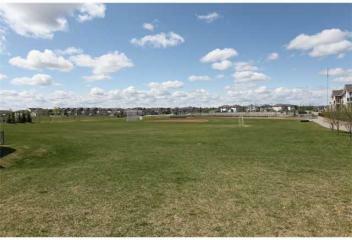 Discovery Ridge Homes for Sale: SW Calgary North: Glenmore TR., South: Tsuu Tina Nation. 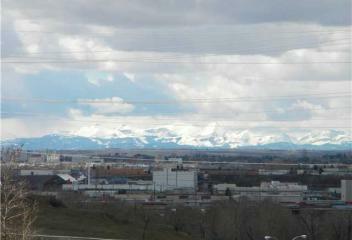 East: Glenmore TR., West: City Limits. Discovery Ridge Condos & Townhouses: There were 26 Condos & 4 Townhouses SOLD in Discovery Ridge in 2016 with a price range of just above $675k to $224K. There are 500 plus condos and about 150 plus townhouses. The Wedgewood condo complex was built in 2006 and same for the townhouse but the villas Discovery Wood Villas was built in 2002. 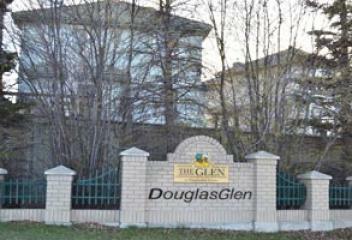 Condo / Townhouse: There were 5 Condos / Townhouses SOLDS in Douglas Glen in 2012. 2011 Population (Douglasdale Area) 11,768 2011 Dwellings 4,088 Locations: Quadrant: Southeast Calgary North: 18 ST., South: Deerfoot TR. East: 24 ST., West: Bow River. Condo / Townhouse: 19 Condos / Townhouses SOLD 2011 Population (Douglasdale Area) 11,768 2011 Dwellings 4,088 Locations: Quadrant: Southeast Calgary North: Deerfoot TR., South: 130 AVE. East: Deerfoot TR., West: Douglasdale BLVD. Single Family Home: There were 37 Single Family Homes SOLDS in Douglas Ridge in 2012. 2011 Population (Douglasdale Area) 11,768 2011 Dwellings 4,088 Locations: Quadrant: Southeast Calgary North: Deerfoot TR., South: 130 AVE. East: Deerfoot TR., West: Douglasdale BLVD. 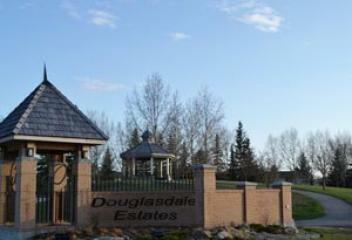 Single Family Home: There were 46 Single Family Homes SOLD in Douglas Glen in 2012. 2011 Population (Douglasdale Area) 11,768 2011 Dwellings 4,088 Locations: Quadrant: Southeast Calgary North: 18 ST., South: Deerfoot TR. East: 24 ST., West: Bow River. Dover Real estate: There were 101 Single Family Homes SOLD in Dover in 2016 with a price range of $600K to $145K. There are about 10,474 population in Dover. Dover has a 2,077 single family homes and 789 duplex. Houses for sale in Dover were mostly built in the 70's to 80's and some are late 2000's and comes with different styles. 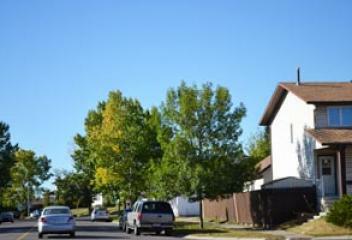 Dover homes for sale is located: Southeast Calgary North: 26 AVE., South: 36 ST. East: Erinwoods, West: 36 ST.
Dover Condos & Townhouses: There were 29 Condos & 17 Townhouses SOLD in Dover in 2016 with a price range of $310K to $144K. There are about 1,010 condos and 549 townhouses in Dover. The condos for sale in Dover are low rise and are built in 1995, 2000 and 2009. The townhouses for sale in Dover are built in the 70's, 90's and 2000. Single Family Home: There were 39 Single Family Homes SOLDS in Dover Glen in 2012. 2011 Population (Dover Area) 10,302 2011 Dwellings 4,680 Locations: Quadrant: Southeast Calgary North: 34 AVE., South: Peigan TR. East: 36 ST., West: Deerfoot TR. Condo / Townhouse: There were 26 Condos / Townhouses SOLDS in Dover Glen in 2012. 2011 Population (Dover Area) 10,302 2011 Dwellings 4,680 Locations: Quadrant: Southeast Calgary North: 34 AVE., South: Peigan TR. East: 36 ST., West: Deerfoot TR. Downtown East Village real estate has gone through an incredible transformation over the years and still changing. 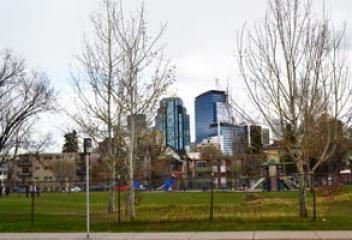 East Village fresh urban neighbourhood is just an easy walk from the centre of downtown Calgary. Condos for sale in East Village are mostly high rise, excellent amenities and modern design from a studios up to a 3 bedrooms and penthouse. Edgemont Real Estate: There were 160 single family homes sold in Edgemont in 2016 with the price range of $1million to $310K. There are 15,898 residents call Edgemont homes and 4,659 dwellings built in the early 80's to the 90's with different price point from starter to luxury homes and lots of different styles to pick on. 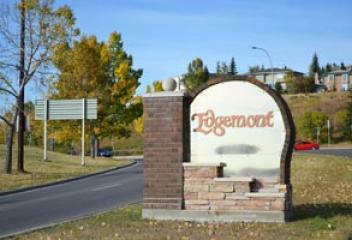 Edgemont real estate is located in Northwest Calgary North: Country Hills BLVD, South: John Laurie BLVD. East: Shaganappi TR., West: Sarcee TR. In 2016 there were 9 condos and 17 townhouses/villas sold in Edgemont in with the price range of $657K to $158K. There are 291 condo units and 453 units of townhouse/villas. They are, Chimney Hill, Dreamview Village, Edgecliffe Estates, Edgedale Gardens, Edgemont Villas, Edgepark Villas, Edger Ridge, Hillsboro in Edgemont, Summit Point and Summit Point Estates. Elbow Park Real estate: There were 49 single family homes SOLD in Elbow Park in 2016 with a price range over 4 million to about $500k. 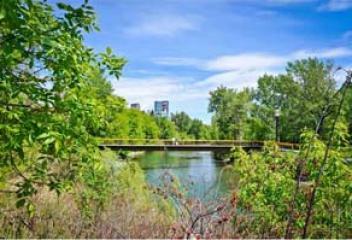 Elbow Park homes for sale are totalling just over 1,200 dwellings, built in the early 1900's to present with each offer there own characters, styles and one of the wealthiest inner city Calgary community. 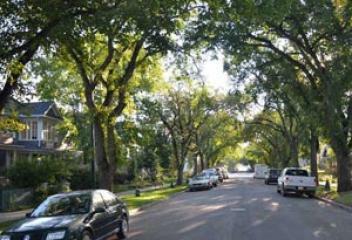 There are about 3,000 plus residents call Elbow Park homes and offers them a unique inner city lifestyles. Elboya Real Estate: There were 20 single family homes SOLD in Elboya in 2016 with a price range over 2 million to about $500k. Elboya has about 1,720 residents and just about under 500 single family dwellings. Elboya homes for sale were built in the 50's to present comes with different styles from bungalow, splits and 2 storeys. Homes for Sale in Elboya is located in Southwest Calgary North: Elbow River, South: 50 AVE. East: 4 ST., West: Elbow DR.
Elboya Condos for Sale: There was 2 condos SOLD in Elboya in 2016 with a price range of $345k to $285K. There are 2 condo complex in Elboya. The Elboya House was built in the 2000, its a low rise apartment located in Stanley Rd and the Stanley in Elboya were built in 2009, located just beside on the same street. Both of this complex comes with 1 to bedrooms unit and assigned underground parking. Erin Woods Real Estate: There were 74 single family homes SOLD in Erinwoods in 2016 with a price range of $388k to $200k. There are about 6,700 plus residents call the Erin Woods homes and about 2,500 dwellings that comes with different styles. Erin Woods homes for sale were built in the early 80's and its very affordable for the first time home buyers. Erin Woods Real Estate is located: Southeast Calgary North: Forest Lawn Industrial, South: Peigan TR. East: 52 ST., West: 36 ST.
Erin Woods Condos & Townhouses: There were 3 condos & 3 townhouses SOLD in Erin Woods in 2016 with a price range of $274K to $133K. There are about 118 condos unit in Erin Woods and 63 townhouses. Erin Woods condos for sale are low rise apartment and buyers can choose from 1 to 2 bedrooms. Erin Woods townhouses for sale are row houses without a garage and they are 2 storey style unit. Evanston Real Estate: In 2016 there were 263 homes sold in Evanston with a price range $919K to $352k. There are 10,030 call Evanston home and 2,808 single family dwellings and still growing from starter home, move up to luxury. Evanston homes for sale newly built and still under constructions homes with wide selections of vivid colours. 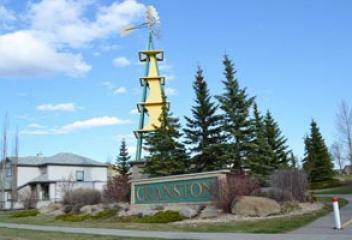 Evanston properties are located in the NW Calgary: North: 144 AVE., South: Symons Valley RD. East: Stoney TR., West: Symoms Valley RD. Evanston Condos & Townhouses: There were 4 Condos & 67 Townhouses SOLD in Evanston in 2015 with a price range of $415K to $231k. 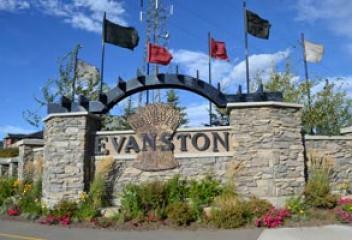 Condos for sale in Evanston a low rise apartment and just recently build features 1 to 2 bedrooms. Most Townhouses for sale in Evanston are newly built from 2007 till present that comes with different styles from bungalow, splits and 2 storey. Evergreen Real Estate: There were 242 single family homes SOLD in Evergreen in 2016 with a price range of $1.2 million to $320K. Evergreen homes for sale are a mixture of luxury homes to starter homes. There are about 5,500 single family homes dwellings that comes with different styles. 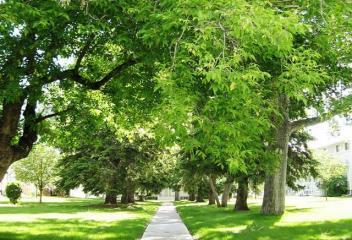 There are over 20,000 plus population call Evergreen homes. 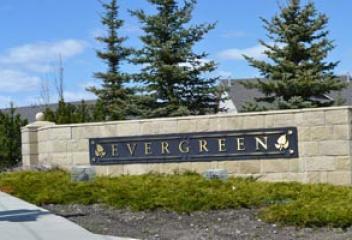 Evergreen properties are located in the SW Calgary North: Fish Creek BLVD., South: 162 AVE. East: James McKevitt RD., West: 37 ST.
Evergreen Condos & Townhouses: There were 51 condos & 38 townhouses SOLD in Evergreen in 2016 with a price range $575k to $130K. There are 1,154 low rise apartment condos and 1,474 townhouses. 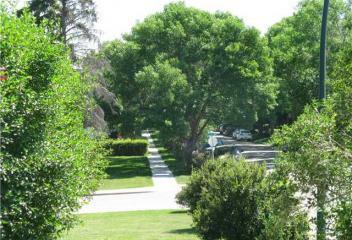 Evergreen condos and townhouses for sale are great for a starter home and different bylaws. 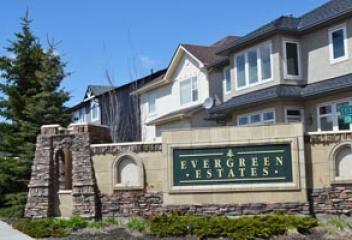 Evergreen condos for sale start building 2004 to 2014, condos size ranges from 500 to 1000 sqft. The Evergreen townhouses for sale were built in 2001 to 2006 and features garage size and ensuites. Fairview Real Estate: There were 33 single family homes SOLD in Fairview in 2016 with a price range of $539k to $350k. Fairview have about 3,600 population. 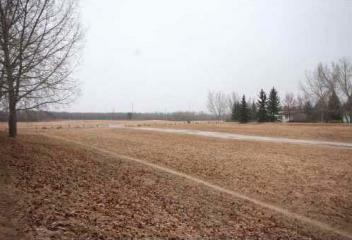 Fairview homes for sale are all single family home bungalow styles and mostly built in 1959. Fairview real estate is locate: Southeast Calgary North: Glenmore TR., South: Heritage DR. East: Blackfoot TR., West: Macleod TR. Falconridge Real Estate: There were 99 single family homes SOLD in Falconridge in 2016 with a price range of $400K to $222K. 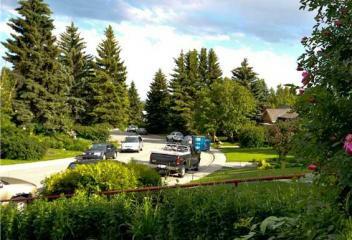 The Falconridge community has a population of 10,381. Falconridge homes for sale are detach and attach homes that were built in the 80's and about 4,000 dwellings Falconridge Real Estate is located: Northeast Calgary North: 64 AVE., South: McKnight BLVD. East: 68 ST., West: Falconridge BLVD. Falconridge Condos & Townhouses: There were 2 Condos and 25 Townhouses SOLD in Falconridge in 2016 with a price range of $252k to $166K. 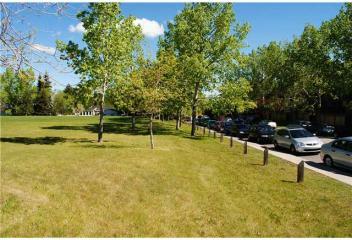 The condos for sale in Falconridge is a low rise apartment that features 1 to 2 bedrooms that were built in 2003. The townhouses for sale in Falconridge are mostly 2 storey styles that features 2 to more bedrooms. Single Family Home: There were 20 Single Family Homes SOLDS in Fonda in 2012. Locations: Quadrant: Southeast Calgary North: Memorial DR., South: 8 AVE. East: 44 ST., West: 36 ST.
Condo / Townhouse: There were 10 Condos / Townhouses SOLDS in Fonda in 2012. Locations: Quadrant: Southeast Calgary North: Memorial DR., South: 8 AVE. East: 44 ST., West: 36 ST.
Forest Heights Real Estate: There were 44 single family homes SOLD in Forest Heights in 2016 with a price range of $394K to $207K. Forest Heights has about 6,212 population. Forest Heights homes for sale are built in the 60's and 70's. They comes with different styles from bungalows, splits to 2 storeys attach or detach. There are about 1,400 single family homes in Forest Heights. Forest Heights Townhouse: There were 5 townhouses SOLD in Forest Heights in 2016 with a price range of $205k to $165k. There are only townhouses in Forest Heights that features 2 to 3 bedrooms and bungalow to 2 storey styles. 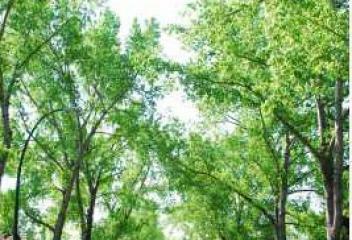 Forest townhouses for sale are great for the first time home buyers or investors. Forest Lawn Real Estate: There were 56 single family homes SOLD in Forest Lawn in 2016 with a price range of $570k to $133k. 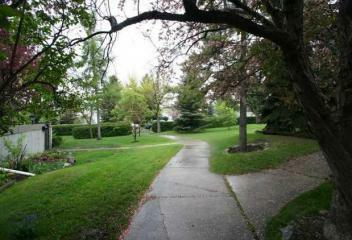 Forest Lawn homes for sale were built in the 50's, 60's, 70's and some 2000's most of the styles are bungalows. There are about 7,500 population and 3,352 dwellings. 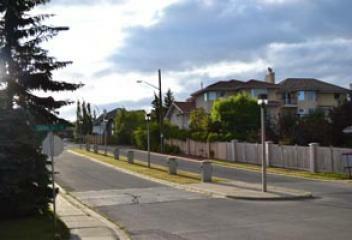 Forest Lawn Real Estate is located: Southeast Calgary North: 8 AVE., South: 26 AVE. East: 52 ST., West: 36 ST.
Forest Lawn Condos & Townhouses: There were 2 Townhouses SOLD in Forest Lawn in 2016 with the price of under the $200k. Garrison Green Real Estate: There were 12 single family home SOLD in Garrison Green in 2016 with a price range of $895K to $625K. Garrison Green homes for sale are mostly 2 storeys and built during 2000's. This small sw community has a population of about 1,973 and about 400 single family dwellings from detach to semi detach. 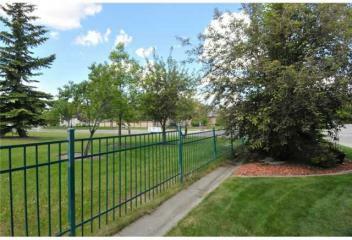 Garrison Green Real Estate location: Southwest Calgary North: ATCO Industrial Park, South: Glenmore TR. East: Crowchild TR., West: Richard RD. Garrison Green Condos & Townhouses: There were 9 condos & 8 Townhouses SOLD in Garrison Green in 2016 with a price range of $630K to $217K. Garrison Green condos for sale are low rise apartment with 252 units range from 1 to 2 bedrooms built in 2006. 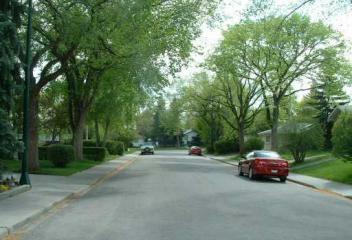 The Garrison Green townhouses for sale are row houses with 2 storeys and bungalow styles and built in the mid 2000's. Garrison Woods Real Estate: There were 27 single family homes SOLD in Garrison Woods in 2016 with a price range of 1.2 million to $412K. Discover Garrison Woods homes sale below. Located in the Mardaloop area, homes in Garrison Woods were built in the 2000's. They comes with attach to detach homes with each unique architectural design. 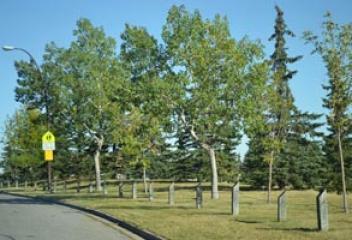 Garrison Woods properties are located in SW Calgary. North: 33 AVE, South: 47 AVE. East: 20 ST., West: Crowchild TR. Garrison Woods Condos & Townhouses: There were 15 Condos & 18 Townhouses SOLD in Garrison Woods in 2016 with a price range of $765k to $244k. 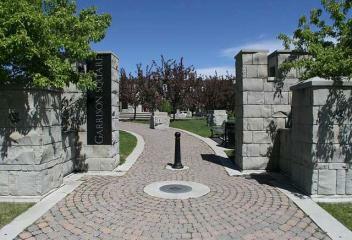 Garrison Woods condos for sale are low rise apartment built in 1999 and 2000 features 1 to 2 bedrooms. Garrison Woods townhouses for sale are from the early 80's all the way 2004 from 2 storey to a bungalow and very unique styles. Glamorgan Real Estate: There were 42 single family homes SOLD in Glamorgan in 2016 with a price range $660k to $395K. Browse Glamorgan homes for sale below. There are 6300 plus residents call Glamorgan homes. Houses for sale in Glamorgan were built in 50's, 60's and the 70's. There are 1200 plus dwellings comes with different styles bungalows, splits and 2 storey. 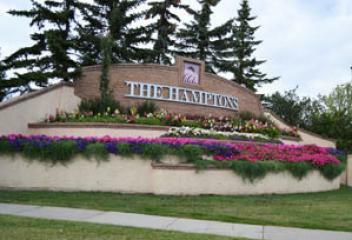 Glamorgan homes for sale is located: SW Calgary North: Richmond RD., South: Glenmore TR. East: 37 ST., West: Sarcee TR. Glamorgan Condos & Townhouse: There were 10 condos & 40 townhouses SOLD in Glamorgan in 2016 with a price range of $405k to $175K. 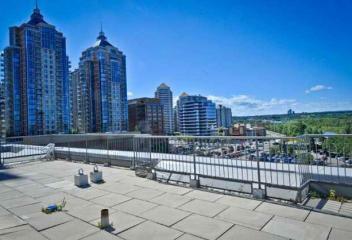 Search Glamorgan condos for sale features 1 to 2 bedrooms built in 1979 and 1981. There are about 837 plus condos. Browse Glamorgan townhouses for sale were built in the 70's and 80's features 2 storey, splits and with or without a garage. There are about 866 townhouses in Glamorgan. Glenbrook Real Estate: There were 74 single family homes SOLD in Glenbrook in 2016 with a price range of $830K to $315K. Browse Glenbrook homes for sale! Homes for sale in Glenbrook are mixture of new homes infills to old homes built in 50's and 60's. The houses are detach to semi detach with different styles from bungalow, splits and infills. The population in this community are 7000+. 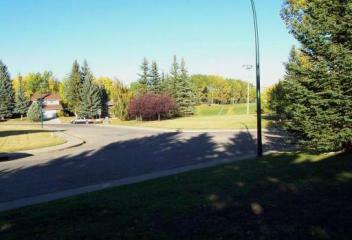 Glenbrook location is SW Calgary North: 26 AVE., South: Richmond RD. East: 37 ST., West: Sarcee TR. Glenbrook Condos & Townhouses: There were 13 condos & 19 townhouses SOLD in Glenbrook in 2016 with a price range of $305K to $147K. 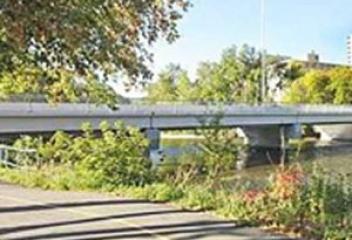 Search Glenbrook condos for sale. 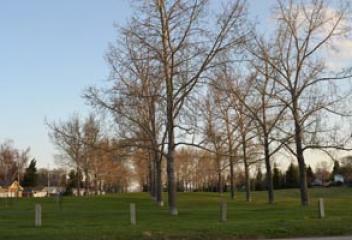 The condos in this community are low rise built in 1998 and 2006 features 1 up to 2 bedrooms and underground parking. Search Glenbrook townhouses for sale. The townhouse in Glenbrook are mostly 2 storeys built in the 70's features 2 or more bedrooms. Glendale Real Estate: There were 35 single family homes SOLD in Glendale in 2016 with the price range of 1.5 million to $425k. Browse Glendale homes for sale. Glendale is a single detach home community built in the 50's and bungalows with a huge backyard. There are about 2,739 residents call Glendale homes and about 1,112 dwellings. 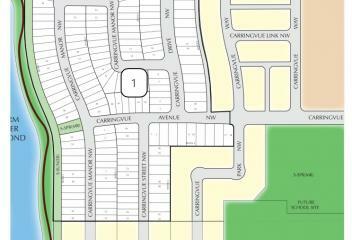 Glendale properties located in the quadrant of southwest Calgary: North: 17 AVE., South: 26 AVE. East: 37 ST., West: Sarcee TR. Greenview Real Estate: There were 9 single family homes SOLD in Greenview in 2016 with a price range of $455k to $200k. Browse Greenview homes for Sale. Detach homes in Greenview are mostly bungalows built in the 60's. There are about 2000 population and 200 plus single family homes from detach to semi detach. Greenview properties is located: Northeast Calgary North: 64 AVE., South: 32 AVE. East: Deerfoor TR., West: Trelle DR.
Greenview Condos & Townhouses: There were 7 condos & 7 townhouses SOLD in Greenview in 2016 with a price range of $224k to $148k. Search Greenview condos for sale are mostly low rise apartment built in 1973 and 1980 features 1 or more bedrooms and floor plans. Search Greenview townhouses for sale are mostly 2 storey styles built in 80's with 2 or more bedrooms. Hamptons Real Estate: There were 74 single family homes SOLD in Hamptons in 2016 with a price range of over 2 million to $517K. 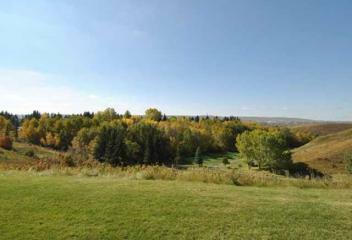 Hampton homes for sale lie within the northwest of Calgary with 18 holes golf course. While most homes in Hamptons are established in the mid 1990's, homebuyers will find estates homes to luxury. There are about 7,905 population and 2200 dwellings. 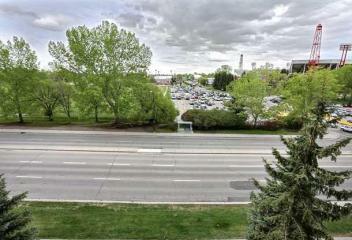 Hampton properties: NW Calgary North: Stoney TR., South: Country Hills BLVD. East: Shaganappi TR., West: Sarcee TR. Hamptons Villas & Townhouses: There were 1 Villas & 6 Townhouses SOLD in Hamptons in 2016 with a price range of $560k to $350k. Hampton townhouses for sale are built in 1997 and 200. There are about 215 townhouse units that feature garage, 2 or more bedrooms. 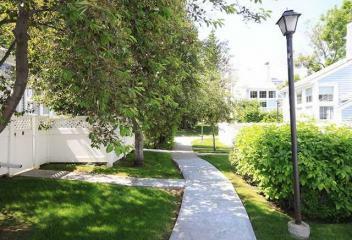 Townhouses and Villas complex in Hamptons, La Vita, La Vita Pointe and Via Ultima Hamptons. Single Family Home: There were 20 Single Family Homes SOLDS in Hanson Ranch in 2012. Locations: Quadrant: Northwest Calgary North: Panorama Hills, South: Beddington TR. East: Panamount BLVD., West: Stoney TR. Condo / Townhouse: There were 15 Condos / Townhouses SOLDS in Hanson Ranch in 2012. Locations: Quadrant: Northwest Calgary North: Panorama Hills, South: Beddington TR. East: Panamount BLVD., West: Stoney TR. Harvest Hills Real Estate: There were 80 single family homes SOLD in Harvest Hills in 2016 with a price range from $655k to $280k. There are about 7,402 residents call Harvest Hills homes and about 2,200 single family homes from detach to semi detach. Harvest Hills properties is located: NE Calgary North: Country Hills BLVD, South: 96 AVE. East: Deerfoot TR., West: Harvest Hills BLVD. Harvest Hills Condos & Townhouses: There were 4 condos & 9 townhouses SOLD in Harvest Hills in 2016 with a price range of $401k to $200k. Browse Harvest Hills condos for sale built in the 90's and there are about 165 units features 1 to more bedrooms. Browse Harvest Hills townhouses for sale built in the 90's same as condo apartment and most of there styles are 2 storeys and splits. Hawkwood Real Estate: There were 85 single family homes SOLD in Hawkwood in 2016 with a price range of $890k to $385. 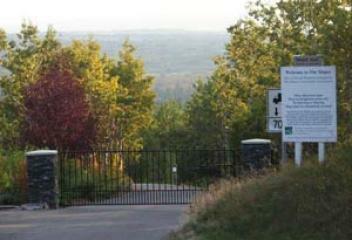 Browse Hawkwood homes for sale..There are about 9,833 residents call Hawkwood homes, about 3,068 dwellings and no semi detach homes. Hawkwood properties: NW Calgary North: Country Hills BLVD, South: John Laurie BLVD East: Sarcee TR, West: Nose Hill DR.
Hawkwood Condos & Townhouse: There were 4 condos & 4 townhouses SOLD in Hawkwood in 2016 with a price range of $415k to $166k. 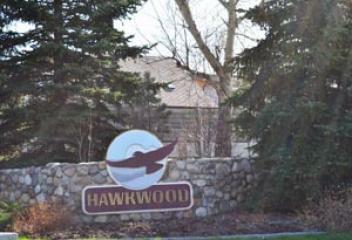 Browse Hawkwood homes for sale are 138 unit low rise apartment built in 1996 with a bylaw of age restriction and no pets allowed. 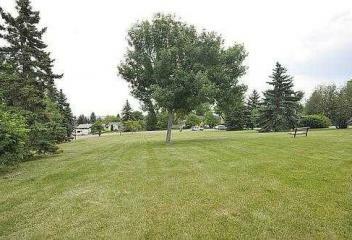 Browse Hawkwood townhouses for sale are mostly bungalows and splits styles unit built in the 80's and 90's. Haysboro Real Estate: There were 65 single family homes SOLD in Haysboro in 2016 with a price range of just over 1 million to $360k. Haysboro homes for sale were built from 1958 to 1962 and different styles bungalows, splits and bilevel. There are about 6,900 population and 1,812 single family homes dwellings. Haysboro properties located in SW Calgary North: Heritage DR., South: Southland DR. East: Macleod TR, West: Nose 14 ST.
Haysboro Condos & Townhouses: There were 46 condos & 1 townhouses SOLD in Haysboro in 2016 with a price range of $469K to $136K. Haysboro condos for sale are mixture of low and high rise apartment built in the 70's and 2008 features studio to more bedrooms. Haysboro townhouse for sale has only one complex. The Sunrise Estates were built in 1976 and its a self manage complex. Hidden Valley Real Estate: There were 138 single family homes SOLD in Hidden Valley in 2016 with a price range of $740k to #350K. Browse Hidden Valley homes for sale below, homes in Hidden Valley were built in the 90's and mostly single detach homes from starter homes to move up. 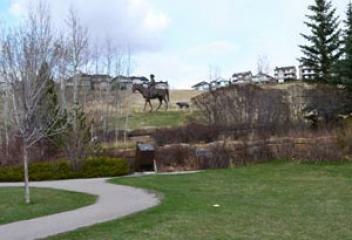 Hidden Valley has 11,799 population and 3,867 single family dwellings Hidden Valley properties is located in the NW Calgary North: Stoney TR., South: Country Hills BLVD. East: Beddington TR, West: Shaganappi TR. Hidden Valley Townhouse: There were 18 townhouses SOLD in Hidden Valley in 2016 with a price range of $416K to $268K. Search Hidden Valley townhouses for sale were built from 1997 all the way to 2002. The townhomes in Hidden Valley features garages, 2 or more bedrooms and ravine view. Highland Park Real Estate: There were 70 single family homes SOLD in Highland Park in 2016 with a price range of $875k to $290K. Search Highland Park homes for sale are a mixture of new and old from detach to semi detach homes. There are about 3,729 population and about 1,200 single family dwellings. Highland Park properties are located in NW & NE Calgary North: McKnight BLVD., South: 32 AVE. East: 1 ST., West: 4 ST.
Highland Park Condos & Townhouses: There were 7 condos and 1 townhouses SOLD in Highland Park in 2016 with a price of $499K to $101k. Highland Park condos for sale are mixture of old built in the 70's and newer built in 2014. Highland Park townhouses for sale are newly built and mostly 4 plex. Highwood Real Estate: There were 27 single family homes SOLD in Highwood in 2016 with a price range of $575K to $377K. Highwood homes for sale were built in the 50's and 60's bungalows from the detach and some semi detach homes. There are about 2,214 residents call Highwood homes and about 900 plus total dwellings. 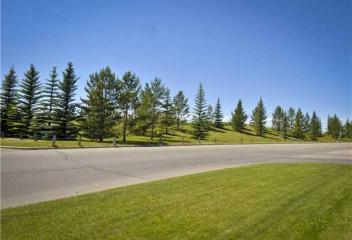 Highwood properties are located in the NW Calgary North: McKnight BLVD., South: 40 AVE. East: 4 ST., West: John Laurie BLVD. 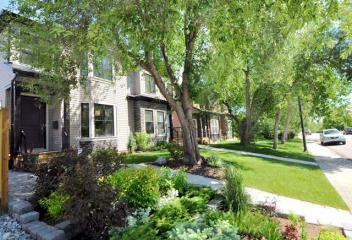 Highwood Townhouse: There was 1 townhouse SOLD in Highwood that went for just over $400k. 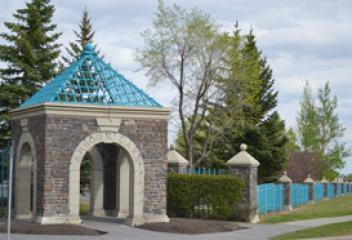 There are only one complex of townhomes for sale in Highwood and that is Holmwood Gardens. Holmwood Gardens townhouses for sale are built in 2004. Explore Hillhust homes for sale. There were 58 single family homes sold in 2016 from attach to detach home with a price range of just about 1.5 million to $425k. Hillhurst real estate has about 1187 single family dwellings with a population of 6,497. 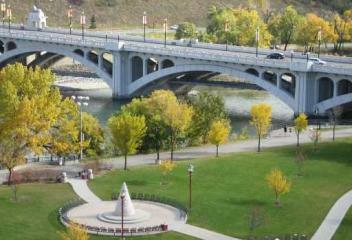 Hillhurst properties are located in the northwest Calgary North: 8 AVE., South: Bow River. East: 10 ST., West: 18 ST. In 2016 Hillhust condo real estate had 25 units sold that range from $925k to $170k. While the townhouses real estate had 6 units sold that range from $815k to $550k. Hillhurst condos for sale are mixture of old and new low rise apartment. Condo units styles start from studios all the way to a penthouse. Hillhurst townhouse for sale were built in the 2000's till present. They comes with row styles to a 4 plex and some are self manage. Huntington Real Estate: There were 82 single family homes SOLD in Huntington Hills in 2016 with a price range of $670k to $200k. Huntington Hills homes for sale are mixtures of detach to semi detach homes built in 60's and 70's and different styles from bungalow, splits to 2 storeys. There are about 13,279 residents call the Huntington Hills homes. Huntington Hills properties is located in NW & NE Calgary North: Beddington BLVD., South: 64 AVE. East: Deerfoot TR., West: 14 ST.
Huntington Hills Condos & Townhouses: There were 5 condos & 11 townhouses SOLD in Huntington Hills in 2016 with a price range of $280k to $152K. Huntington Hills condos for sale were built in 2000 and 1983. There are 125 plus low rise apartment unit that features 1 or more bedrooms. Huntington Hills townhouses for sale were built in the 70's are mostly 2 storeys styles and some are bi-levels. Inglewood Real Estate: There were 28 single family homes SOLD in Inglewood in 2016 with a price range of $800k to $325k. 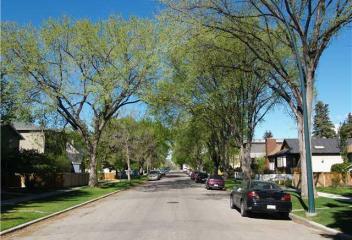 Inglewood homes for sale are mixture of old and new detach and semidetached homes. 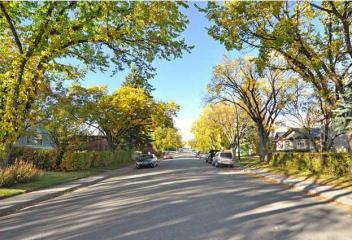 They range from a bungalow styles and 2 storeys homes with modern to original early 1900 finish. There are about 3,597 residents and just about 1,000 dwellings. 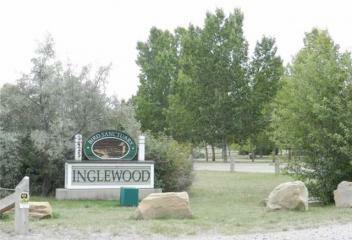 Inglewood properties are located in the SE Calgary North: Bow River., South: 17 AVE. East: Bow River., West: Elbow River. Inglewood Condos & Townhouse: There were 23 condos & 20 townhouses SOLD in Inglewood in 2016 with a price range of $573k to $242k. 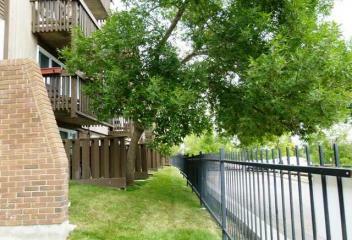 Inglewood condos for sale are mixture of low to mid rise apartment and some lofts. 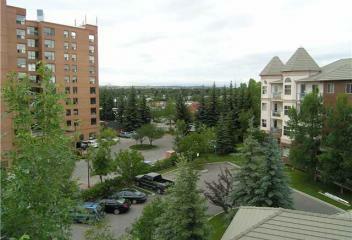 There are about 735 Inglewood condos built in 2000's till present features 1 or more bedrooms. Inglewood townhouses for sale are mostly row types built in the 90's to 2000's. Inglewood townhouses comes with 2 storeys and splits styles homes. Kelvin Grove Real Estate: There were 14 single family homes SOLD in Kelvin Grove in 2016 with a price range of about 1.4 million to $675k . 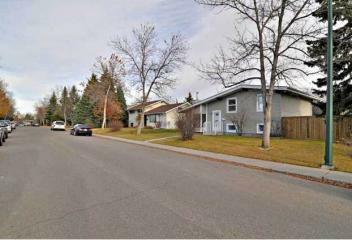 Kelvin Grove homes for sale are all detach homes built in the 60's with different styles from 2 storey splits, bungalow and splits homes. There are about 2,334 population and 355 single family dwellings. 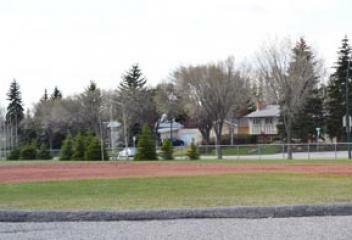 Kelvin Grove properties is located in the SW Calgary North: Glenmore TR., South: 75 AVE. East: Elbow DR., West: 14 ST.
Kelvin Grove Condos & Townhouses: There were 2 condos & 1 townhouse SOLD in Kelvin Grove in 2016 with a price range of $220k to $187k. Killarney Real Estate: There were 111 single family homes SOLD in Killarney in 2016 with a price range of 1.3 million to $362k. 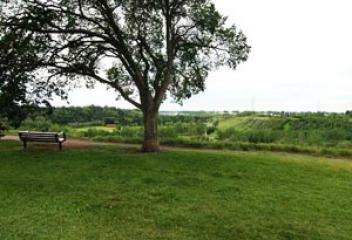 Killarney homes for sale are mixture of new and old homes, semi and detach homes. Killarney homes have a wide variety of styles that features modern finish and still, some are the original finish. There are about 6,543 population. 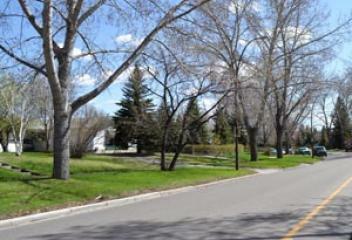 Killarney properties are located in SW Calgary North: 17 Ave., South: Richmond RD. East: 25 A ST., West: 37 ST.
Killarney Condos & Townhouses: There were 15 condos & 34 townhouses SOLD in Killarney in 2016 with a price range to $647k to $182k . 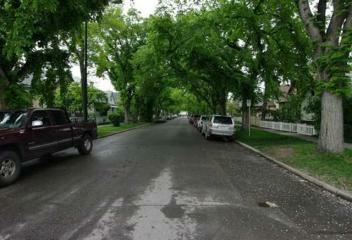 Killarney townhouses for sale are either a row styles built in the 80's and some are 2000's. The 4plex style townhouses were built in the mid 2000's to present. Condos for sale in Killarney are 90% low rise apartment built in the 80's to 2000's features 1 up to 2 bedrooms. Kincora Real Estate: There were 79 single family homes SOLD in Kincora in 2016 with the price range of $662k to $425k. Kincora homes for sale are mostly attach garage detach and 10% semi detach homes. There are about 4,876 residents call Kincora homes and 1,426 single family dwellings. 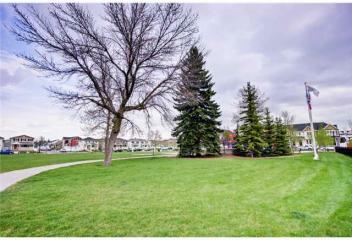 Kincora properties are located in the NW Calgary North: Symon Valley PY., South: Stoney TR. East: Symon Valley RD., West: Shaganappi TR. Kincora Condos & Townhouses: There were 13 condos and 12 townhouses SOLD in Kincora in 2016 with a price range of $390k to $215k. Kincora condos for sale were built in 2014 till present that features age restricted bylaws and offers 1, 2 or even 3 bedrooms. Kincora townhouses for sale project were built in 2008 and 2013. They features garages, 2 to 3 bedrooms and open concept floor plan. Kingsland Real Estate : There were 27 single family homes SOLD in Kingsland in 2016 with a price range of $660k to $330k. Kings land homes for sale a mostly bungalow styles homes built in the mid 50's. There are about 4,518 residents call Kingsland homes and 850 plus single family dwellings. Kingsland properties are located in the SW Calgary North: Glenmore TR., South: Heritage DR. East: Macleod TR., West: Elbow DR.
Kingsland Condos & Townhouse: There were 9 condos & 8 townhouses SOLD in Kingsland in 2016 with a price range of $431k to $159k. Kingsland condos for sale were built in 1963, 1983 and 2000. There are low rise apartment styles and different sets of bylaws. Kingsland townhouses for sale are all row styles and comes with different styles from 2 storeys to splits levels. Lake Bonavista real estate: There were 104 single family homes SOLD in Lake Bonavista in 2016 with a price range of 3.7 million to $452K. Lake Bonavista homes for sale are mixture of luxury homes thats backing into a lake and homes that are great for first time home buyer. Homes size range from 1000 to 3500 plus square feet. 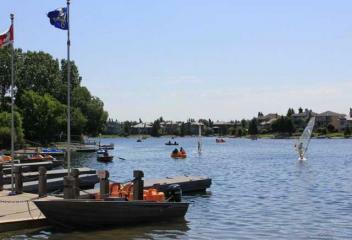 Lake Bonavista properties are located in SE Calgary North: Anderson RD., South: Canyon Meadows DR. East: Lake Ontario DR., West: Macleod TR. 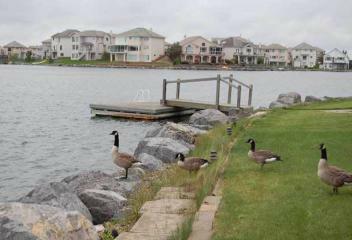 Lake Bonavista Condos: There were 50 condos SOLD in Lake Bonavista in 2016 with a price range of $451k to $143K. 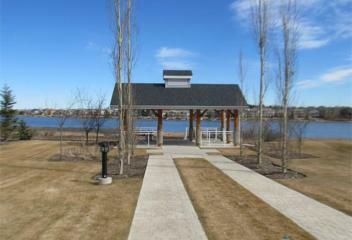 Lake Bonavista condos for sale size range from 600 to 1400 square feet. The condo were built 2000 and the latest one was 2008. The Lake Bonavista features 1 or more bedroom, underground parking and modern finish. Single Family Home: There were 20 Single Family Homes SOLDS in Lake Bonavista Down in 2012. 2011 Population (Lake Bonavista Area) 11,557 2011 Dwellings 4,476 Locations: Quadrant: Southeast Calgary North: Anderson RD., South: Bow Bottom TR. East: Bow Bottom TR., West: Lake Ontario DR. Single Family Home: There were 46 Single Family Homes SOLDS in Lake Bonavista Estates in 2012. 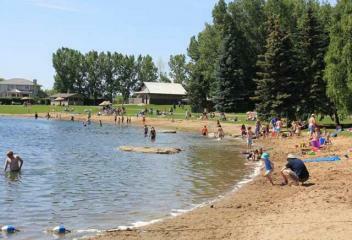 2011 Population (Lake Bonavista Area) 11,557 2011 Dwellings 4,476 Locations: Quadrant: Southeast Calgary North: Lake Bonavista DR., South: Canyon Meadows DR. East: Acadia DR., West: Bonaventure DR. Single Family Home: There were 64 Single Family Homes SOLDS in Lakeview in 2012. 2011 Population 5,501 2011 Dwellings 2,338 Locations: Quadrant: Southwest Calgary North: Glenmore TR., South: 66 AVE. East: Crowchild TR., West: 37 ST.
Condo / Townhouse: There were 17 Condos / Townhouses SOLDS in Lakeview in 2012. 2011 Population 5,501 2011 Dwellings 2,338 Locations: Quadrant: Southwest Calgary North: Glenmore TR., South: 66 AVE. East: Crowchild TR., West: 37 ST. Single Family Home: There were 12 Single Family Homes SOLDS in Lakeview Village in 2012. Locations: Quadrant: Southwest Calgary North: 66 AVE., South: North Glenmore Park East: Crowchild TR., West: 37 ST.
Condo / Townhouse: There were 64 Condos / Townhouses SOLD in Lincoln Park in 2012. 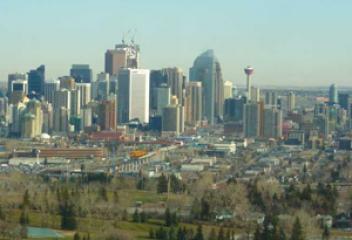 2011 Population 2,501 2011 Dwellings 1,417 Locations: Quadrant: Southwest Calgary North: Richardson WY., South: Glenmore TR. East: Richard RD., West: 37 ST. SIngle Family Home: There were 9 Single Family Homes SOLDS in Lower Mount Royal in 2012. 2011 Population 2,981 2011 Dwellings 2,263 Locations: Quadrant: Southwest Calgary North: 17 AVE., South: Royal AVE. East: College LN., West: 14 ST.
Condo / Townhouse: There were 118 Condos / Townhouses SOLD in Lower Mount Royal in 2012. 2011 Population 2,981 2011 Dwellings 2,263 Locations: Quadrant: Southwest Calgary North: 17 AVE., South: Royal AVE. East: College LN., West: 14 ST. 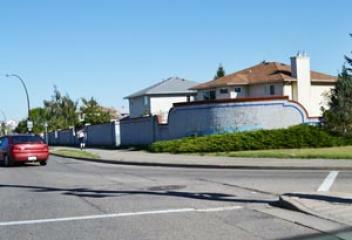 Single Family Home: There were 66 Single Family Homes SOLD in MacEwan Glen in 2012. 2011 Population 5,138 2011 Dwellings 1,778 MacEwan properties are located in the NW Calgary: North: Country Hills BLVD., South: Nose Hill Park East: 14 ST., West: Shaganappi TR. 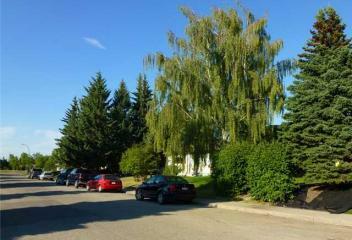 Condo / Townhouse: There were 7 Townhouses SOLD in MacEwan Glen in 2012. 2011 Population 5,138 2011 Dwellings 1,778 Locations: Quadrant: Northwest Calgary North: Country Hills BLVD., South: Nose Hill Park East: 14 ST., West: Shaganappi TR. Mahogany Real Estate: There were 190 single family homes SOLD in Mahogany in 2016 with a price range of with 1.625 million to $347k. 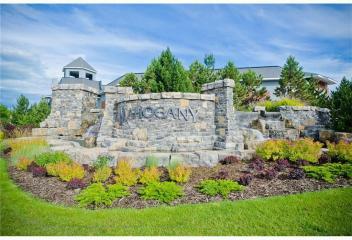 The community of Mahogany is one of the fastest growing, most desirable, and most popular new areas in Calgary. The Canadian Home Builders Association or CHBA named it “Canada’s Community of the Year” in 2014. 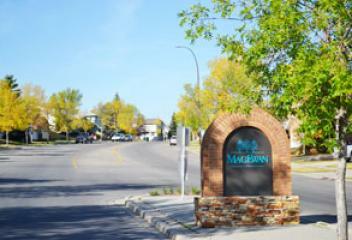 Mahogany properties are locate in the SE Calgary North: 22 X, South: Seton BLVD. East: 88 ST., West: 52 ST.
Mahogany Condos & Townhouses: There were 16 condos & 18 townhouses SOLD in Mahogany in 2016 with a price range of $427k to $229k. Townhouses for sale in Mahogany were built in 2013 till present. They are mostly row styles that feature modern finish, garage and 2 to 3 bedrooms. 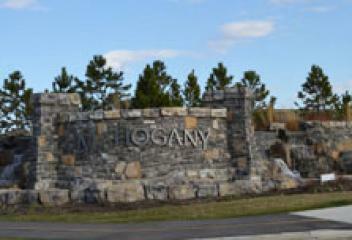 Condos for sale in Mahogany were built in 2014 till present. They are smartly place In Mahogany where they are walking distance to a lot of amenities. Single Family Home: There was 0 Single Family Homes SOLD in Manchester in 2012. 2011 Population 669 2011 Dwellings 448 Locations: Quadrant: Southeast Calgary North: 42 ST., South: 58 AVE. East: Centre ST., West: Macleod TR. Condo / Townhouse: There were 3 Condos / Townhouses SOLDS in Manchester in 2012. 2011 Population 669 2011 Dwellings 448 Locations: Quadrant: Southeast Calgary North: 42 ST., South: 58 AVE. East: Centre ST., West: Macleod TR. Single Family Home: There were 31 Single Family Homes SOLD in Maple Ridge in 2012. 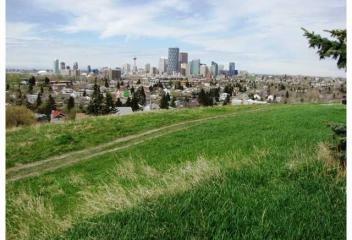 2011 Population 1,978 2011 Dwellings 810 Locations: Quadrant: Southeast Calgary North: Southland DR, South: Anderson RD. East: Deerfoot TR., West: Acadia DR.
Marlborough Real Estate: There were 78 single family homes SOLD in Marlborough in 2016 with a price range of $570k to $202k. Marlborough homes for sale comes with variety of styles from bungalows, bi-level, splits and 2 storeys. Marlborough properties are located in the NE Calgary North: 16 AVE., South: Memorial DR. East: 52 ST., West: 36 ST.
Marlborough Park Real Estate: There were 44 single family homes SOLD in Marlborough Park in 2016 with a price range of $420k to $213k. 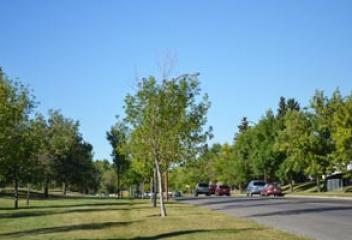 2011 Population 8,278 2011 Dwellings 3,035 Marlborough Park properties are located in the NE Calgary North: 16 AVE., South: Memorial DR. East: 68 ST., West: 52 ST.
Condo / Townhouse: There were 29 Condos / Townhouses SOLD in Marlborough Park in 2012. 2011 Population 8,278 2011 Dwellings 3,035 Locations: Quadrant: Northeast Calgary North: 16 AVE., South: Memorial DR. East: 68 ST., West: 52 ST.
Marlborough Townhouse: There were 6 townhouses SOLD in Marlborough in 2016 with a price range $227k to $187k. Marlborough townhouses for sale were built in the 70's. They are mostly row houses features 4 level splits and 2 stories. Single Family Home: There were 207 Single Family Homes SOLD in Martindale in 2012. 2011 Population 12,987 2011 Dwellings 3,875 Locations: Quadrant: Northeast Calgary North: 80 AVE., South: 64 AVE. East: Falconridge BLVD., West: Metis TR. Condo / Townhouse: There were 6 Condos / Townhouses SOLD in Martindale in 2012. 2011 Population 12,987 2011 Dwellings 3,875 Locations: Quadrant: Northeast Calgary North: 80 AVE., South: 64 AVE. East: Falconridge BLVD., West: Metis TR. Single Family Home: There were 53 Single Family Homes SOLD in Mayland Heights in 2012. 2011 Population 5,835 2011 Dwellings 2,779 Locations: Quadrant: Northeast Calgary North: 16 AVE., South: Memorial DR. East: McKinnon DR., West: Deerfoot TR. Condo / Townhouse: There were 10 Condos / Townhouses SOLD in Mayland Heights in 2012. 2011 Population 5,835 2011 Dwellings 2,779 Locations: Quadrant: Northeast Calgary North: 16 AVE., South: Memorial DR. East: McKinnon DR., West: Deerfoot TR. Single Family Home: There were 6 Single Family Homes SOLDS in Mayland Heights East in 2012. 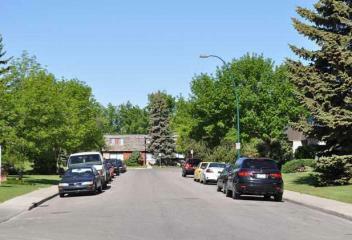 2011 Popultion 5,835 2011 Dwellings 2,779 Locations: Quadrant: Northeast Calgary North: 16 AVE., South: Centre AVE. East: Barlow TR., West: McKinnon DR.
Condo / Townhouse: There were 4 Condos / Townhouses SOLDS in Mayland Heights East in 2012. 2011 Population 5,835 2011 Dwellings 2,779 Locations: Quadrant: Northeast Calgary North: 16 AVE., South: Centre AVE. East: Barlow TR., West: McKinnon DR.
McKenzie Towne Real Estate: There were 246 single family homes SOLD in McKenzie Towne in 2016 with a price range of $932k to $303k. 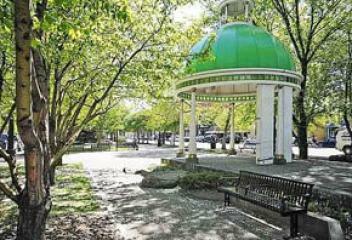 McKenzie Towne is a colorful community with an English vibe located in the city's SE. 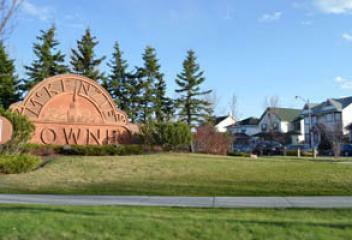 The community of McKenzie Towne is divide into 3 neighbourhood Elgin, Inverness and Preswick which each of them offers first time home buyers and move up. 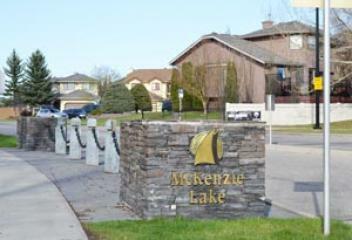 McKenzie Towne properties are located in the SE Calgary North: 130 AVE., South: 22X East: 52 ST., West: Deerfoot TR. McKenzie Towne Condos & Townhouses: There were 76 condos & 78 townhouses SOLD in McKenzie Towne in 2016 with a price range of $502k to $175k. 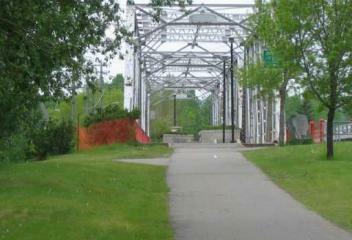 McKenzie Towne condos for sale were built in the 2000's till about 2013. There are about 1500 units some adult living that featured 1 to 3 bedrooms, under ground parking near to a lot amenities. 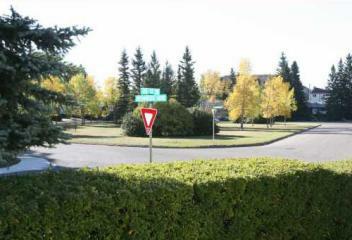 Townhouse for sale in McKenzie Towne are mostly row house some feature a garage and 2 or more bedrooms. They were built in 1997 to 2016. Single Family Home: There were 14 Single Family Homes SOLDS in Meadowlark Park in 2012. 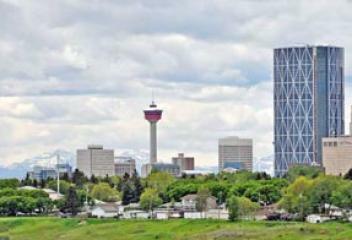 2011 Population 605 2011 Dwellings 277 Locations: Quadrant: Southwest Calgary North: 58 AVE., South: Glenmore TR. East: Macleod TR., West: Elbow DR. Single Family Home: There were 80 Single Family Homes SOLD in Midnapore in 2012. 2011 Population 6,888 2011 Dwellings 2,724 Locations: Quadrant: Southeast Calgary North: Fish Creek Park, South: Sun Valley BLVD. 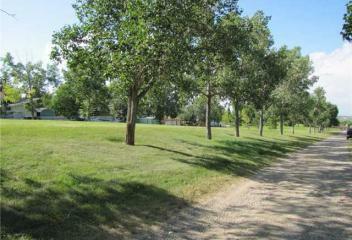 East: Fish Creek Park, West: Macleod TR. Condo / Townhouse: There were 24 Condos / Townhouses SOLD in Midnapore in 2012. 2011 Population 6,888 2011 Dwellings 2,724 Locations: Quadrant: Southeast Calgary North: Fish Creek Park, South: Sun Valley BLVD. 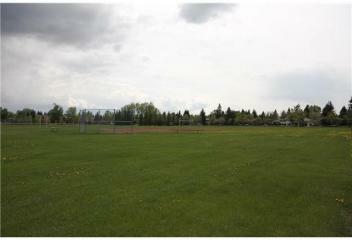 East: Fish Creek Park, West: Macleod TR. 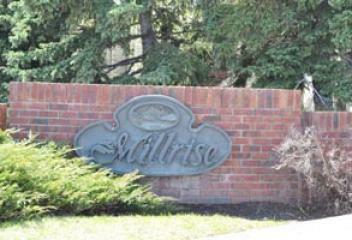 Condo / Townhouse: There were 53 Condos / Townhouses SOLD in Millrise in 2012. 2011 Population 6,717 2011 Dwellings 2,629 Locations: Quadrant: Southwest Calgary North: James McKevitt RD, South: Shawnessy BLVD. East: Macleod TR., West: James McKevitt RD. Single Family Home: There were 81 Single Family Homes SOLD in Millrise in 2012. 2011 Population 6,717 2011 Dwellings 2,629 Locations: Quadrant: Southwest Calgary North: James McKevitt RD, South: Shawnessy BLVD. East: Macleod TR., West: James McKevitt RD. Single Family Home: There was 0 Single Family Homes SOLD in Mission in 2012. 2011 Population 4,363 2011 Dwellings 3,239 Locations: Quadrant: Southwest Calgary North: 17 ST., South: Elbow River East: Elbow River, West: 4 ST.
Condo / Townhouse: There were 126 Condos / Townhouses SOLD in Mission in 2012. 2011 Population 4,363 2011 Dwellings 3,239 Locations: Quadrant: Southwest Calgary North: 17 ST., South: Elbow River East: Elbow River, West: 4 ST.
Monterey Park Real Estate: There were 64 single family homes SOLD in Monterey Park in 2016 with a price range $549k to $275k. Monterey Park homes for sale come with wide variety of styles and selections from move up homes to first time home buyers. 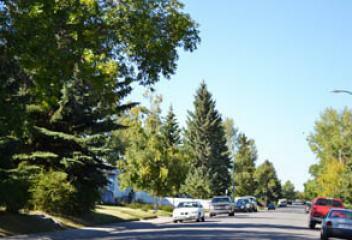 Monterey Park properties is located in the NE Calgary North: McKnight BLVD., South: 16 AVE. East: Stoney TR., West: 68 ST.
Monterey Park Condos & Villas: There were 3 condos & 5 villas SOLD in Monterey Park in 2016 with a price range of $300k to $195k. Monterey Park condos for sale were built in the early 2000's. They are low rise features 1 to 2 bedrooms. Monterey Park villas for sale were built in the early 90's. They are row type and bungalow styles with a 50+ age restriction. Montgomery Condos & Townhouses: There were 2 condos & 6 townhouses SOLD in Montgomery in 2016 with a price range of $570k to $198k. Montgomery townhouses for sale are mostly 4 plex built in the recent years. They features open concept, modern finish and a master bedroom with an ensuites. Single Family Home: There were 150 Single Family Homes SOLD in Mount Pleasant in 2012. 2011 Population 4,718 2011 Dwellings 2,582 Locations: Quadrant: Northwest Calgary North: 32 AVE., South: 16 AVE. East: 2 ST., West: 10 ST.
Condo / Townhouse: There were 7 Condos / Townhouses SOLD in Mount Pleasant in 2012. 2011 Population 4,718 2011 Dwellings 2,582 Locations: Quadrant: Northwest Calgary North: 32 AVE., South: 16 AVE. East: 2 ST., West: 10 ST. 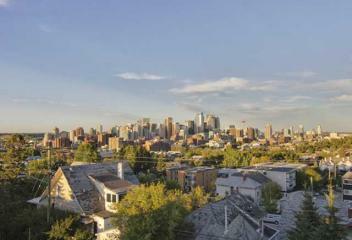 Single Family Home: There were 46 Single Family Homes SOLD in Mount Royal in 2012. 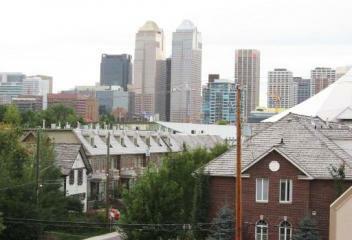 2011 Population 2,536 2011 Dwellings 1,071 Locations: Quadrant: Southwest Calgary North: Royal AVE., South: Council WY. 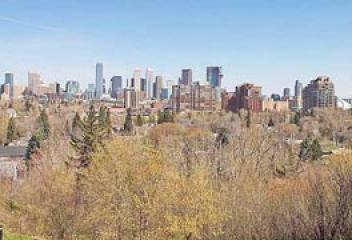 East: Elbow Park & Cliff Bungalow, West: 14 ST.
Condo / Townhouse: There were 5 Condos / Townhouses SOLD in Mount Royal in 2012. 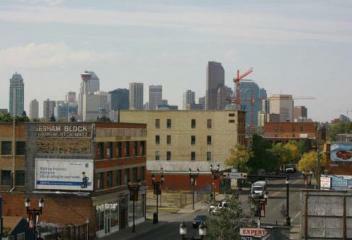 2011 Population 2,536 2011 Dwellings 1,071 Locations: Quadrant: Southwest Calgary North: Royal AVE., South: Council WY. East: Elbow Park & Cliff Bungalow , West: 14 ST.
New Brighton Real Estate: There were 219 single family homes SOLD in New Brighton in 2016 with a price range of $760k to $327k. New Brighton homes for sale were built in the 2000 till the 2016. They are mostly 2 storeys lane homes and move up homes. There are about 8000 plus residents call New Brighton homes and about 2700 single family dwellings. 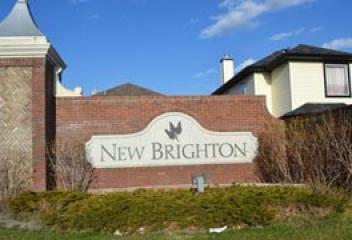 New Brighton properties are located in the SE Calgary North: 130 AVE., South: McIvor BLVD. East: McIvor BLVD., West: 52 ST.
New Brighton Condos & Townhouses: There were 7 condos & 36 townhouses SOLD in New Brighton in 2016 with a price range of $342k to $216k. New Brigthon townhouses for sale were built in 2000's to 2016. There are about 1000 units of townhomes and mostly 2 storey styles that featured 2 to 3 bedrooms, garage and modern finish. New Brighton condos for sale were built in 2009, 2010 and 2016. There are low rise apartment styles and about 1500 units. 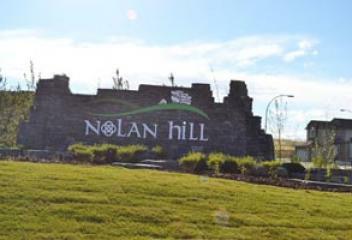 Nolan Hill real estate is a brand new and still growing community in the northwest edge of Calgary, Nolan Hill homes for sale is a master planned community offer Irish country feel, extensive pathways, green space, wetlands and ravines. The Nolan Hill single family homes consist of front attach garage homes and lane homes that reflect refreshing architecture. 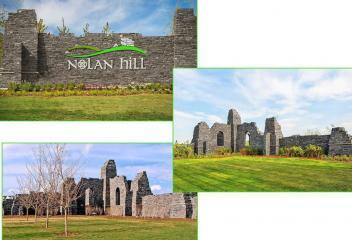 Nolan Hills properties are located in the NW Calgary North: 144 AVE., South: Symons Valley PY. East: Shaganappi TR., West: Sarcee TR. Learn Nolan Hill townhouses for sale are mostly brand new units. The Nolan Hill townhomes features a great options for a first time home buyers and young professional. The townhouse for sale in Nolan Hill features an attach garage, 2 or more bedrooms, and modern stylish styles. 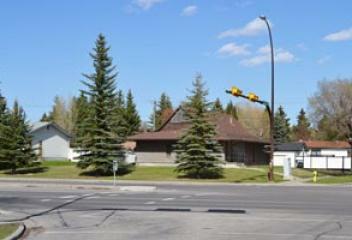 Single Family Home: There were 40 Single Family Homes SOLD in North Glenmore Park in 2012. 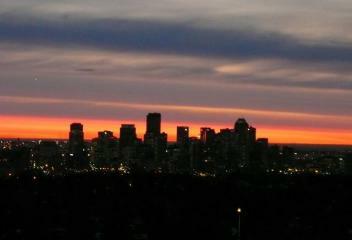 2011 Population 2,388 2011 Dwellings 1,013 Locations: Quadrant: Southwest Calgary North: 50 AVE., South: Glenmore Reservoir. 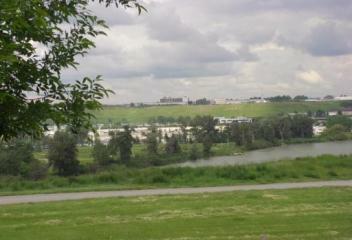 East: Elbow River., West: Crowchild TR. Single Family Home: There were 29 Single Family Homes SOLD in North Haven in 2012. 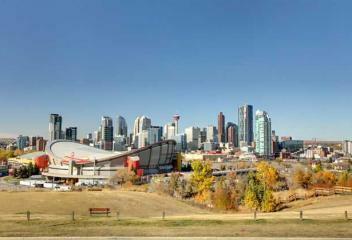 2011 Population 2,282 2011 Dwellings 987 Locations: Quadrant: Northwest Calgary North: Ninga RD., South: John Laurie BLVD. East: John Laurie BLVD., West: 14 ST.
Condo / Townhouse: There were 2 Condos / Townhouses SOLD in North Haven in 2012. 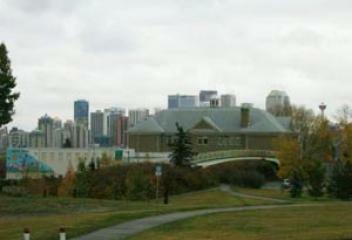 2011 Population 2,282 2011 Dwellings 987 Locations: Quadrant: Northwest Calgary North: Ninga RD., South: John Laurie BLVD. East: John Laurie BLVD., West: 14 ST. Single Family Home: There were 11 Single Family Homes SOLD in North Haven Upper in 2012. 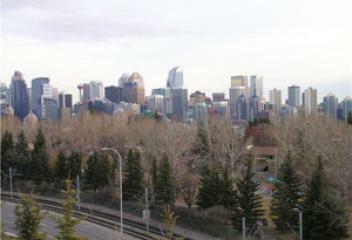 2011 Population 615 2011 Dwellings 246 Locations: Quadrant: Northwest Calgary North: 14 ST., South: Ninga RD. East: Norfolk WY., West: 14 ST. 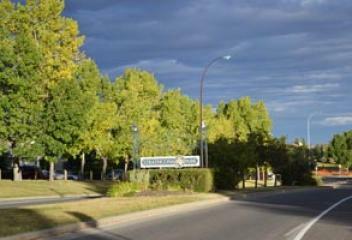 The northeast Calgary consist of 31 communities that have condominiums, from conventional to bareland condos and one of the most affordable area in Calgary. The condo real estate comes with different types, from Low, Mid to Highrise apartments and townhouses in the new or old mature communities. The choices of many styles, price range, penthouse and everything in between are endless. Each of them offers different types of amenities, bylaws and are perfect choice for maintenace free lifestyles. 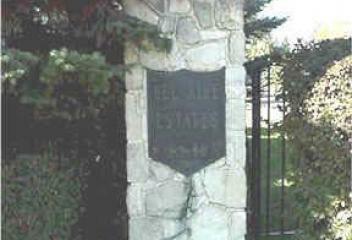 Northeast Calgary real estate is a reminder of the roots of Calgary itself. 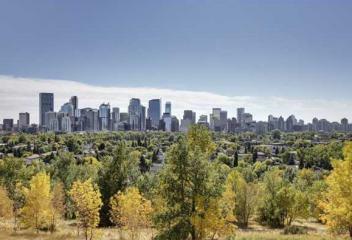 From long ago when the Royal Canadian Mounted Police settled the land near the corner of the Bow and Elbow rivers, they crossed the prairie lands which the northeast Calgary homes for sale now flourishes. Well established communities with old growth trees and the best access to city transit in the city make this area flourish. 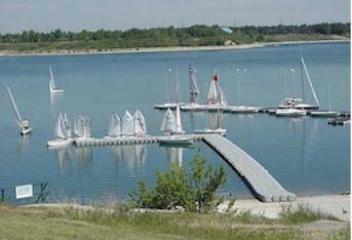 The northwest Calgary consist of 47 communities that have condominiums, from conventional to bareland condos. It comes with different types of condominiums from lowrise to highrise apartments and townhouses, from new to old mature communities. The choices of many styles, price range, penthouse and everything in between are endless. Each of them offers different types of amenities, bylaws and are perfect choice for maintenace free lifestyles. 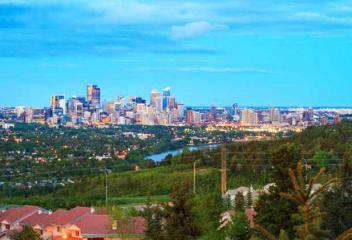 Northwest Calgary real estate is where adventurous spirit meets the big blue sky with easy access to Calgary’s most admirable asset, the mountains. It’s no wonder so many from around the world end up planting roots in the city nestled so close to world renowned skiing and outdoor adventure Parks. With many communities boasting views of the Rocky Mountains and natural parklands and trails, it’s a wonder anyone works here at all. Single Family Home: There were 43 Single Family Homes SOLD in Oakridge in 2012. 2011 Population (Oakridge Area) 5,719 2011 Dwellings 2,292 Locations: Quadrant: Southwest Calgary North: Palliser DR., South: Southland DR. East: 24 ST., West: Oakwood DR.
Condo / Townhouse: There was 0 Condo / Townhouse SOLD in Oakridge Estates in 2012. 2011 Population (Oakridge Area) 5,719 2011 Dwellings 2,292 Locations: Quadrant: Southwest Calgary North: 90 AVE., South: Palliser DR./ Oakwood DR. East: 24 ST., West: Oakmount DR. Single Family Home: There were 24 Single Family Homes SOLDS in Oakridge Estates in 2012. 2011 Population (Oakridge Area) 5,719 2011 Dwellings 2,292 Locations: Quadrant: Southwest Calgary North: 90 AVE., South: Palliser DR./ Oakwood DR. East: 24 ST., West: Oakmount DR.
Condo / Townhouse: There were 40 Condos / Townhouses SOLD in Oakridge in 2012. 2011 Population (Oakridge Area) 5,719 2011 Dwellings 2,292 Locations: Quadrant: Southwest Calgary North: Palliser DR., South: Southland DR. East: 24 ST., West: Oakwood DR. Single Family Home: There were 66 Single Family Homes SOLDS in Ogden in 2012. 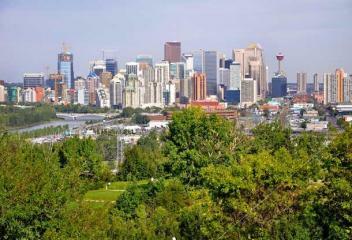 2011 Population 8,432 2011 Dwellings 3,877 Locations: Quadrant: Southeast Calgary North: Lynnview RD., South: Glenmore TR. 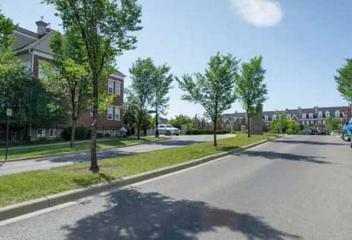 East: Ogden RD., West: 20 ST .
Condo / Townhouse: There was 0 Townhouse SOLD in Ogden in 2012. 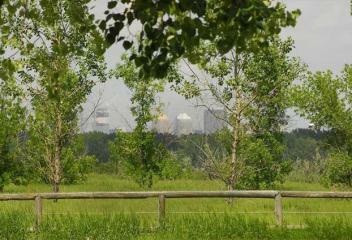 2011 Population 8,432 2011 Dwellings 3,877 Locations: Quadrant: Southeast Calgary North: Lynnview RD., South: Glenmore TR. East: Ogden RD., West: 20 ST .
Condo / Townhouse: 86 Condos / Townhouses for SOLD 2011 Population 24,511 2011 Dwelling 8,704 Neigbourhoods : Air Ranch, Central Heights, Cimarron, Cornerstone, Crystal Ridge, Downey Ridge, Drake Landing, Hunter's Glen, Rosemont, Sandstone, Sheep River Ridge, Suntree, Tower Hill, Westmount, Westridge and Woodhaven. Single Family Home: There were 15 Single Family Homes SOLD in Palliser in 2012. 2011 Population 3,301 2011 Dwellings 1,707 Locations: Quadrant: Southwest Calgary North: 90 AVE., South: Southland DR. East: 19 ST., West: 24 ST.
Condo / Townhouse: There were 45 Condos / Townhouses SOLD in Palliser in 2012. 2011 Population 3,301 2011 Dwellings 1,707 Locations: Quadrant: Southwest Calgary North: 90 AVE., South: Southland DR. East: 19 ST., West: 24 ST.
Panorama Hills Real Estate: There were 220 single family homes SOLD in Panorama Hills in 2016 with a price range of $1.25 million to $352K. 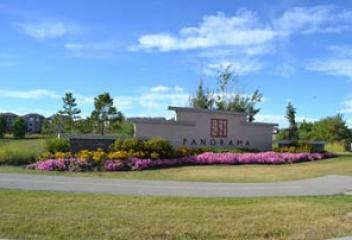 Panorama Hills homes for sale are a mixture of starter home to estates homes. Homes in Panorama Hills Estates and Panatella Estates offers unique features from a home with a city view and modern finish. 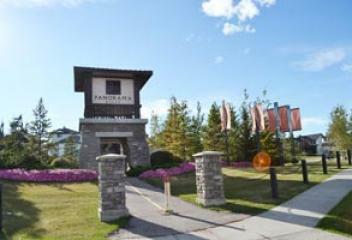 Panorama Hills properties are located in the NW Calgary North: Stoney TR., South: Country Hills BLVD. East: Harvest Hills BLVD., West: Beddington TR. Single Family Home: There were 40 Single Family Homes SOLD in Parkdale in 2012. 2011 Population 2,317 2011 Dwellings 1,026 Locations: Quadrant: Northwest Calgary North: Foothills Hospital, South: Bow River East: 28 ST., West: 37 ST.
Condo / Townhouse: There were 14 Condos / Townhouses SOLD in Parkdale in 2012. 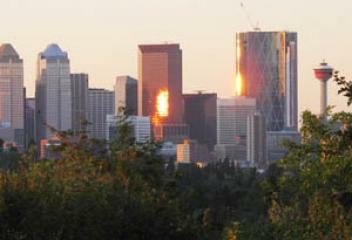 2011 Population 2,317 2011 Dwellings 1,026 Locations: Quadrant: Northwest Calgary North: Foothills Hospital, South: Bow River East: 28 ST., West: 37 ST. Single Family Home: There were 38 Single Family Homes SOLD in Parkhill in 2012. 2011 Population 1,623 2011 Dwellings 847 Locations: Quadrant: Southwest Calgary North: 34 AVE., South: 45 AVE. East: Macleod TR., West: 4 ST. Single Family Home: There were 44 Single Family Homes SOLD in Parkland in 2012. 2011 Population 3,772 2011 Dwellings 1,477 Locations: Quadrant: Southeast Calgary North: Canyon Meadows DR., South: Fish Creek Park. East: Bow Bottom TR., West: Fish Creek Park. 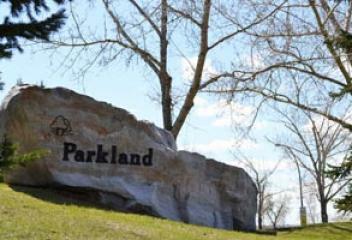 Condo / Townhouse: There were 10 Condos / Townhouses SOLD in Parkland in 2012. 2011 Population 3,772 2011 Dwellings 1,477 Locations: Quadrant: Southeast Calgary North: Canyon Meadows DR., South: Fish Creek Park. 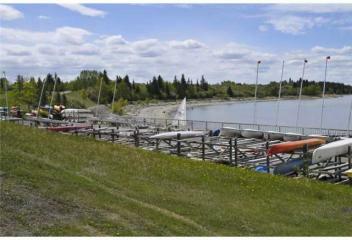 East: Bow Bottom TR., West: Fish Creek Park. Single Family Home: There were 22 Single Family Homes SOLD in Patterson in 2012. 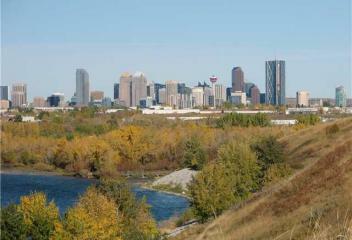 2011 Population 4,162 2011 Dwellings 2,009 Locations: Quadrant: Southwest Calgary North: Sarcee TR., South: Coach Hill RD. East: Sarcee TR., West: Old Banff Coach RD. 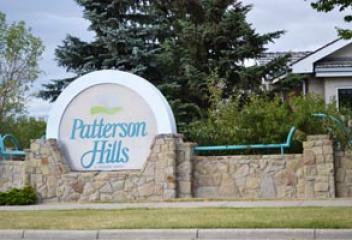 Condo / Townhouse: There were 96 Condos / Townhouses SOLDS in Patterson in 2012. 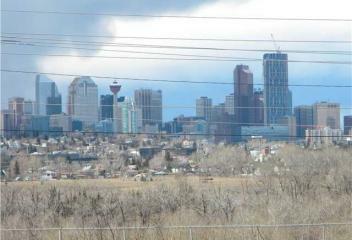 2011 Population 4,162 2011 Dwellings 2,009 Locations: Quadrant: Southwest Calgary North: Sarcee TR., South: Coach Hill RD. 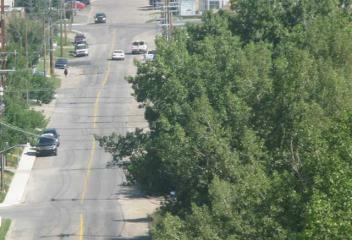 East: Sarcee TR., West: Old Banff Coach RD. Single Family Home: There were 58 Single Family Homes SOLD in Penbrooke in 2012. 2011 Population 8,188 2011 Dwellings 3,191 Locations: Quadrant: Southeast Calgary North: Memorial DR., South: 17 ST. East: 68 ST., West: 52 ST.
Condo / Townhouse: There were 20 Condos / Townhouses SOLDS in Penbrooke in 2012. 2011 Population 8,188 2011 Dwellings 3,191 Locations: Quadrant: Southeast Calgary North: Memorial DR., South: 17 ST. East: 68 ST., West: 52 ST.
Pineridge real estate : There were 64 single family homes SOLD in Pineridge in 2016 with a price range of $565K to $237k. Pine ridge homes for sale were built in the 70's, the community home styles are bungalows, bi-level, 2 storeys and splits. The Pinerange homes size range from 900 to 1900 square feet that features 3 to 5 bedrooms and up to 2.5 baths. 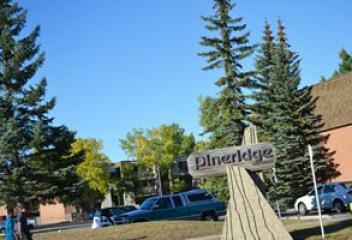 Pineridge properties are located in the NE Calgary North: 32 AVE., South: 16 AVE. East: 68 ST., West: 52 ST.
Pineridge Condos & Townhouses: There were 7 condos & 17 townhouses SOLD in Pineridge in 2016 with a price range of $264k to $137k. 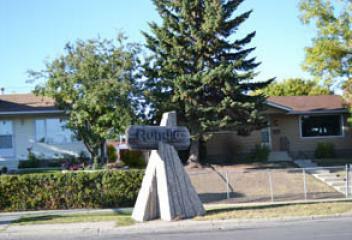 Pineridge townhouses for sale were built from 1975 to 1978, size ranging from 500 to 1000 plus square feet. There are only 2 styles of townhomes in Pineridge, they are 2 storeys and bi-level that features 2 plus bedrooms. There is only one condo complex in Pineridge. 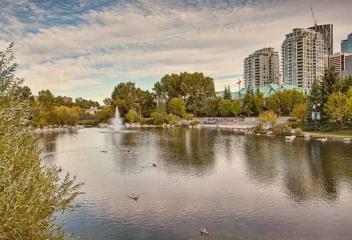 The Pineridge condos for sale are a 60+ age building with an excellent amenities. Single Family Home: There were 17 Single Family Homes SOLD in Pump Hill in 2012. 2011 Population 1,655 2011 Dwellings 563 Locations: Quadrant: Southwest Calgary North: 90 AVE., South: Southland DR. East: 14 ST., West: 19 ST.
Condo / Townhouse: 0 Condo / Townhouse SOLD 2011 Population 1,655 2011 Dwellings 563 Locations: Quadrant: Southwest Calgary North: 90 AVE., South: Southland DR. East: 14 ST., West: 19 ST. 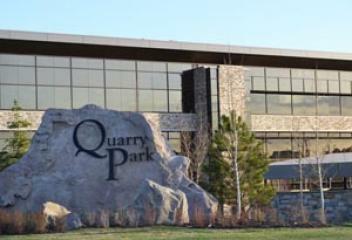 Quarry Park Condos & Townhouse: There were 6 condos & 14 townhouses SOLD in Quarry Park in 2016 with a price range of $590k to $360k. 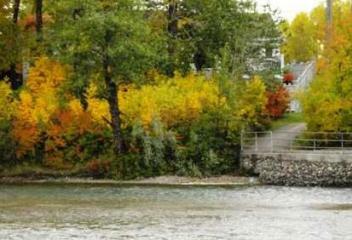 Quarry Park condos for sale are attractively place along the Bow River with country french style. The condo size range from 900 to 2000 square feet with luxury finish. Quarry Park townhouses for sale were built early as 2010 and mostly 2 storey style. The townhomes size range from 1200 to 1800 plus square feet and it features open concept and master ensuites. Queensland real estate: There were 49 single family homes SOLD in Queensland in 2016 with a price range of $513k to $240k. 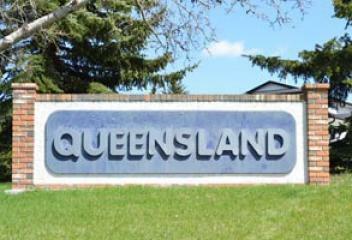 Queensland homes for sale have construction from 1970's as a result most houses style are bungalow, splits and 2 storey. Homes size range from 900 to 1300 square feet with 3 plus bedrooms, and good size backyards. Queensland properties are located in SE Calgary North: Queensland CI., South: Canyon Meadows DR. East: Deer River Estate, West: Bow Bottom TR. Queensland Condos & Townhouse: There were 4 condos & 10 townhouses SOLD in Queensland in 2016. Queensland townhouses for sale were built in 1977 & 1981 and they are mostly 2 storey with 2 or more bedrooms. Queensland condos for sale are low rise apartment built in 2001 that feature 1 to 2 bedrooms, open concept floor plan with home range from 900 to 1300 square feet. 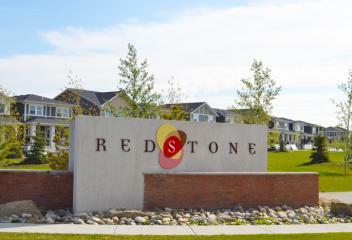 Single Family Home: There were 24 Single Family Homes SOLD in Radisson Heights in 2012. 2011 Population (Albert Park/Radisson Heights) 6,217 2011 Dwellings 2,705 Radisson Heights properties are located in SE Calgary North: Memorial DR., South: 17 AVE. East: 36 ST., West: 28 ST.
Condo / Townhouse: There were 7 Condos / Townhouses SOLDS in Radisson Heights in 2012. 2011 Population (Albert Park/Radisson Heights) 6,217 2011 Dwellings 2,705 Locations: Quadrant: Southeast Calgary North: Memorial DR., South: 17 AVE. East: 36 ST., West: 28 ST. 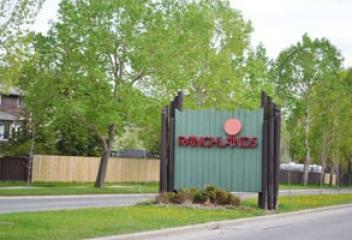 The Ranchland & Ranchland Estate real estate had 96 homes sold in 2014 with the price range of $880,000 to $290,500. 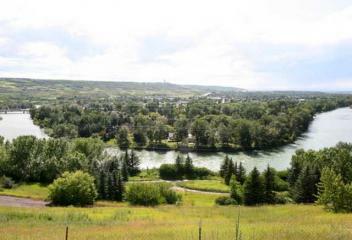 2014 Population 7,926 2014 Dwellings 1,740 Homes for sale in Ranchland is located in northwest Calgary: North: John Laurie BVLD., South Crowchild TR. 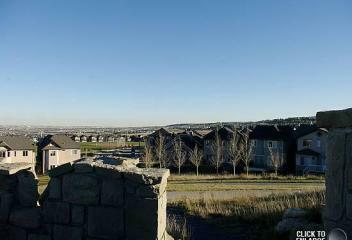 East: Sarcee TR., West: Nose Hill DR.
Condo / Townhouse: There were 27 Condos / Townhouses SOLDS in Ranchlands in 2012. 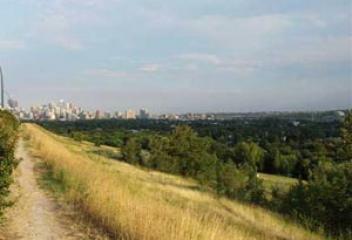 2011 Population (Ranchlands Area) 7,529 2011 Dwellings 3,050 Locations: Quadrant: Northwest Calgary North: John Laurie BVLD., South Crowchild TR. 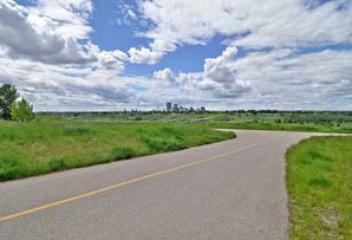 East: Sarcee TR., West: Nose Hill DR.
Condo / Townhouse: 63 Condos / Townhouses SOLD 2011 Population (Renfrew & Regal Terrace) 5,669 2011 Dwellings 3,201 Locations: Quadrant: Northeast Calgary North: 16 AVE., South Bridgeland East: Deerfoot TR., West: Edmonton TR. Renfrew Real Estate: There were 56 single family homes SOLD in Renfrew in 2016 with a price range of 3.885 million to $315k. Renfrew is up and coming. 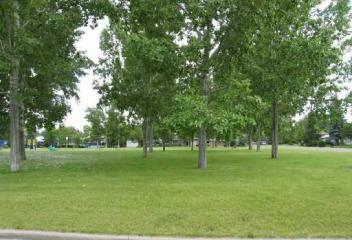 Its location is key, however, many new infills on large lots have made this community more desirable in recent years. It’s somewhat of a hidden gem, offering potential buyers better house prices, but still close to the city’s core. 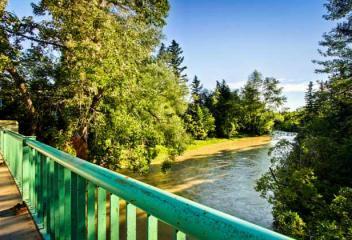 Real estate for sale in Renfrew ranges in price but can be purchased on average for just over $500,000. Single Family Home: There were 56 Single Family Homes SOLD in Richmond Hills in 2012. 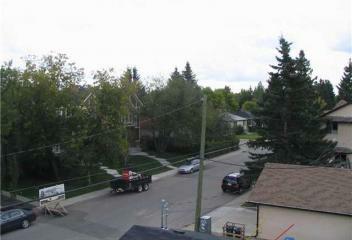 Locations: Quadrant: Southwest Calgary North: Signal Hill., South: Glenmore TR. 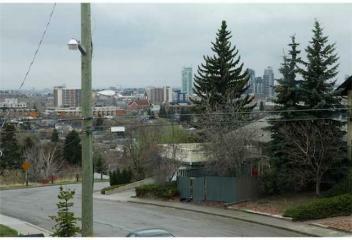 East: Sarcee TR., West: 69 ST.
Condo / Townhouse: There were 59 Condos / Townhouses SOLDS in Richmond Hills in 2012. Locations: Quadrant: Southwest Calgary North: Signal Hill., South: Glenmore TR. East: Sarcee TR., West: 69 ST.
Richmond Real Estate: There were 90 single family homes SOLD in Richmond Park in 2016 with a price range of 1.4 million to $350k. Richmond homes for sale are mixtures of old to new homes and some luxury houses. Homes in Richmond contain spacious open kitchens with breakfast nooks, master suites with double-vanity sinks, and private backyards in the beautiful inner city. 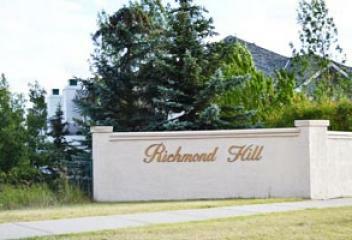 Richmond properties are located in the SW Calgary North: 17 AVE., South: 33 AVE. East: 19 & 20 ST., West: 25A ST.
Richmond Condos & Townhouses: There were 12 condos & 32 townhouses SOLD in Richmond Park in 2016 with a price range of $570k to $175k. Richmond townhouse for sale are mostly 4 plex range size from 1200 to 1500 sqft. The townhomes are mostly 2 storey style, contain spacious open kitchens with granite counters and master suites with modern touch. Riverbend Townhouse & Villas: There were 4 townhouses and 5 villas SOLD in Riverbend in 2016 with a price range of $426k to $257k. Villas for sale in Riverbend were built in 1994. They have a set of bylaws that adult living only. 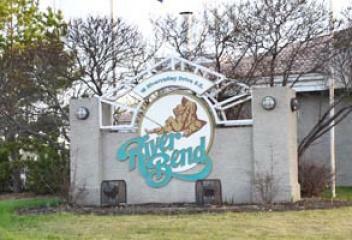 The townhouses for sale in Riverbend are great for the first time home buyer. They are row style and 2 storey homes that offer 2 or more bedrooms. 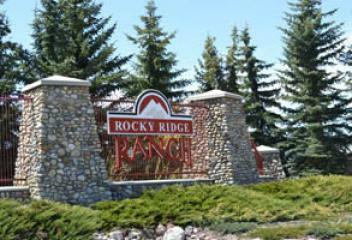 There were 62 Condos, Townhouses and Villas SOLD in Rocky Ridge Ranch in 2016 with a price range of $670k - $209K. There are 490 condos & 608 townhouses. Rocky Ridge list of condominiums: Blue Sky, Pavilions, Rocky Ridge Brownstones, Villas of Rocky Ridge Ranch, Rocky Ridge Chateaus, Rocky Ridge Court, The Georgetowns At Rocky Ridge and Villas of Rocky Ridge Ranch. 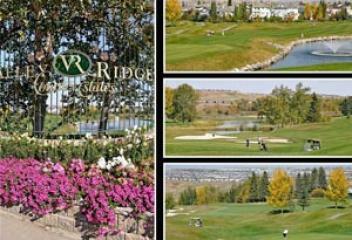 Rocky Ridge Ranch have lots of selections for buyers who's looking for Condos or townhouse for sale in Rocky Ridge Calgary. Single Family Home: There were 21 Single Family Homes SOLD in Rosedale in 2012. 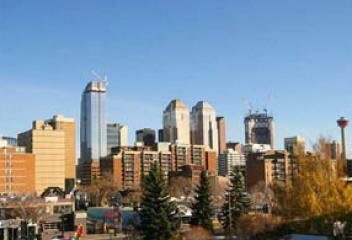 2011 Population 1,592 2011 Dwellings 638 Locations: Quadrant: Northwest Calgary North: 16 AVE., South: Crescent RD. East: 4 ST., West: 10 ST. Single Family Home: There were 11 Single Family Homes SOLDS in Rosemont in 2012. 2011 Population 1,208 2011 Dwellings 561 Locations: Quadrant: Northwest Calgary North: Cambrian DR., South: Confederation Park East: 10 ST., West: 14 ST. Single Family Home: There were 40 Single Family Homes SOLD in Rosscarrock in 2012. 2011 Population 3,175 2011 Dwellings 1,635 Locations: Quadrant: Southwest Calgary North: Bow TR., South: 17 ST. East: 37 ST., West: 45 ST.
Condo / Townhouse: There were 3 Condos / Townhouses SOLD in Rosscarrock in 2012. 2011 Population 3,175 2011 Dwellings 1,635 Locations: Quadrant: Southwest Calgary North: Bow TR., South: 17 ST. East: 37 ST., West: 45 ST. Single Family Home: There were 10 Single Family Homes SOLD in Roxboro in 2012. 2011 Population 441 2011 Dwellings 162 Locations: Quadrant: Southwest Calgary North: Elbow River, South: 33 AVE. East: Elton ST., West: 4 ST.
Royal Oak Real Estate: There were 123 single family homes SOLD in Royal Oak in 2016 with a price range from 1.24 million to $380k. 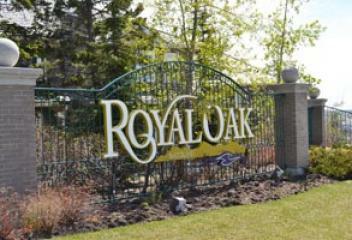 Tucked into scenic northwest Calgary, Royal Oak real estate is a beautiful residential community offering starter homes to luxury homes with stunning views of the Rockies and the ravines. Royal Oak properties are located in NW Calgary: North: Country Hills Blvd, South: Stoney Trail East: Country Hills Blvd, West: Rocky Ridge Rd. Royal Oak Condos & Townhouses: There were 33 condos & 42 townhouses SOLD in Royal Oak real estate in 2016 with a price range to $400k to $188k. 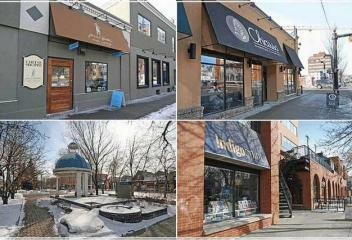 There are 473 condos & 450 townhouses in Royal Oak that can offers buyers can excellent option. They are the Outlook, The Royal Crossing, Red Haus, The Royal Crowning, Royal Cascade, Royal View Estates, Royal Mews and Royal Oak Pointe. Single Family Home: There were 79 Single Family Homes SOLD in Rundle in 2012. 2011 Population 11,029 2011 Dwellings 3,826 Locations: Quadrant: Northeast Calgary North: 32 Ave., South: 16 AVE. East: 52 ST., West: 36 ST.
Condo / Townhouse: There were 26 Townhouses SOLD in Rundle in 2012. 2011 Population 11,029 2011 Dwellings 3,826 Locations: Quadrant: Northeast Calgary North: 32 Ave., South: 16 AVE. East: 52 ST., West: 36 ST. Single Family Home: There were 9 Single Family Homes SOLD in Rutland Park in 2012. 2011 Population 2,309 2011 Dwellings 972 Locations: Quadrant: Southwest Calgary North: Richmond RD., South: Richardson WY. 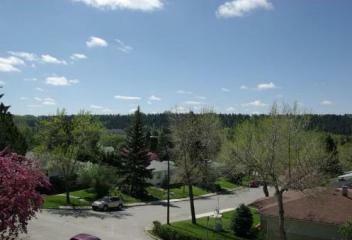 East: Sarcee RD., West: 37 ST.
Condo / Townhouse: There were 7 Townhouses SOLD in Rutland Park in 2012. 2011 Population 2,309 2011 Dwellings 972 Locations: Quadrant: Southwest Calgary North: Richmond RD., South: Richardson WY. East: Sarcee RD., West: 37 ST.
Saddle Ridge Real Estate: There were 169 single family homes SOLD in Saddle Ridge in 2016 with the price range of $710K to $315K 2014 Population 17,775 Saddle Ridge properties are located in the NE Calgary North: Airport TR., South: 80 AVE. East: Stoney TR., West: Metis TR. Sage Hill Real Estate: There were 102 single family homes SOLD in Sage Hill in 2016 with the price range from $810k to $378k. Sage Hill homes for sale continues to expand today with more development plans to come in the near future. There are about 3000 resident call Sage Hill homes and still growing. 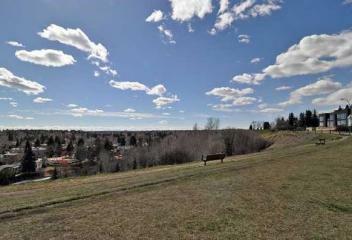 Sage Hill properties are located in the NW Calgary North: 144 AVE., South: Symon Valley PY. East: Evanston, West: Shaganappi TR. Sage Hill Condos & Townhouses: There were 10 condos & 21 townhouses SOLD in Sage Hill in 2016 with a price range from $381k to $201k. Sage Hill condos for sale are mostly new low rise apartments from 500 sqft and up that features 1 to 2 bedrooms, modern design and smartly place all over Sage Hill. Sage Hill townhouses for sale start developing in 2010 and still going strong. There are the stack style townhomes and row styles that features garage and modern finish. Single Family Home: There were 61 Single Family Homes SOLD in Sandstone in 2012. 2011 Population 6,142 2011 Dwellings 2,118 Locations: Quadrant: Northwest Calgary North: Country Hills BLVD., South: Berkshire BLVD. 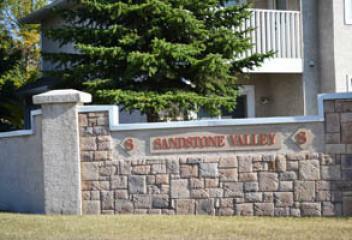 East: Beddington TR., West: 14 ST.
Condo / Townhouse: There were 12 Townhouses SOLD in Sandstone in 2012. 2011 Population 6,142 2011 Dwellings 2,118 Locations: Quadrant: Northwest Calgary North: Country Hills BLVD., South: Berkshire BLVD. 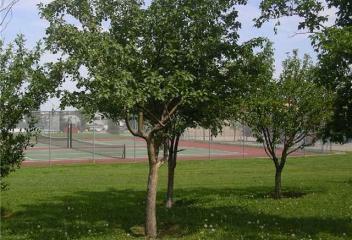 East: Beddington TR., West: 14 ST. Single Family Home: There were 10 Single Family Homes SOLD in Scarboro in 2012. 2011 Population 870 2011 Dwellings 346 Locations: Quadrant: Southwest Calgary North: Bow TR., South: 17 AVE. East: Sunalta, West: Crowchild TR. Single Family Home: There were 114 Single Family Homes SOLD in Scenic Acres in 2014 with a price range from $933,000 to $410,000. 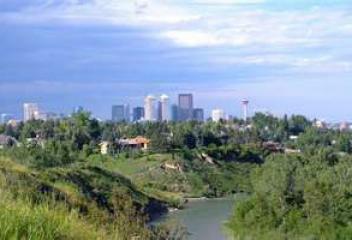 2014 Population 8,650 2014 Dwellings 2,827 Scenic Acres homes for sale is located in northwest Calgary: North: Crowchild TR., South: Nose Hill DR. East: Nose Hill DR, West: Stoney TR. 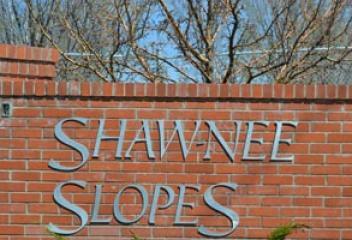 Single Family Home: There were 24 Single Family Homes SOLD in Shaganappi in 2012. 2011 Population 1,495 2011 Dwellings 862 Locations: Quadrant: Southwest Calgary North: Bow River, South: 17 AVE. East: 24 ST., West: Spruce DR.
Condo / Townhouse: There were 7 Condos / Townhouses SOLD in Shaganappi in 2012. 2011 Population 1,495 2011 Dwellings 862 Locations: Quadrant: Southwest Calgary North: Bow River, South: 17 AVE. East: 24 ST., West: Spruce DR.
Sherwood real estate: There were 50 single family homes SOLD in Sherwood in 2016 with the price range from $680k to $460k. Sherwood homes for sale size range from 1700 to 3000 plus square feet and they features open concept, 3 or more bedrooms, walkout basement and a master bedroom with a ensuite. 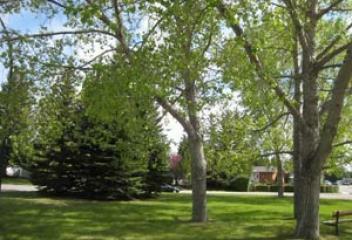 Sherwood properties are located in the NW Calgary. North: Symons Valley PY., South: Stoney TR. East: Shaganappi TR., West: Sarcee TR. Sherwood Condos & Townhouses: There were 10 condos & 3 townhouse SOLD in 2017 with a price range of $370k to $189k Sherwood condos for sale were built as early 2011 to 2012 and new bulit. The condo features 1 to 2 bedrooms with a size range from 600 to 900 plus square feet. Sherwood townhouse for sale are most newly built in the past couple years. The townhouse are mostly 2 storey, attach garage and open floor plan. Signal Hill real estate: There were 133 single family homes SOLD in Signal Hill in 2016 with a price range of 1.66 million to $375k. Signal Hill homes for sale built beginning as 1998 with a size range from 1200 to 3500 plus square feet. Homes for sale in Signal Hill includes 3 to more bedroom, stucco exterior finish and master bedroom ensuites. 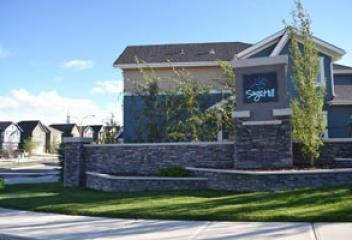 Signal Hill properties is located in the SW Calgary North: Sirocco DR., South: Richmond Hill East: Sarcee TR., West: 69 ST.
Condo / Townhouse: There were 19 Condos / Townhouses SOLD in Signal Hill in 2012. 2011 Population 13,795 2011 Dwellings 5,252 Locations: Quadrant: Southwest Calgary North: Sirocco DR., South: Richmond Hill East: Sarcee TR., West: 69 ST. Single Family Home: There were 31 Single Family Homes SOLDS in Signature Parke in 2012. 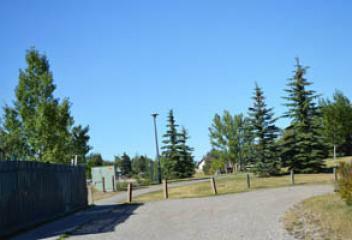 Locations: Quadrant: Southwest Calgary North: 17 AVE., South: Sirocco DR. East: Sarcee TR., West: 69 ST.
Condo / Townhouse: There were 43 Condos, Townhouses & Villas SOLDS in Signature Parke in 2012. Locations: Quadrant: Southwest Calgary North: 17 AVE., South: Sirocco DR. East: Sarcee TR., West: 69 ST.
Silver Springs real estate: There were 93 single family homes SOLD in Silver Springs in 2016 with a price range of $949k to $292k. Silver Springs homes for sale were built as early of 1972 and about 8,900 plus residents call Silver Springs homes. 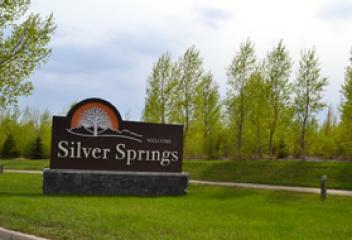 Silver Springs properties are located in NW Calgary. North: Crowchild TR., South: Bow River East: Silver Springs GA., West Nose Hill DR.
Silver Springs Townhouse: There were 12 townhouses SOLD in Silver Springs in 2016 with a price range of $315 to $243k. 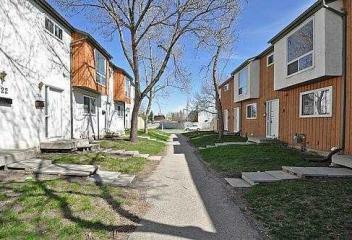 Silver Springs townhouses for sale were built in 1976 and they are mostly 2 storey style. Silverado Real Estate: There were 84 single family homes sold in Silverado on 2016 with a price range of $870k to $332k. Silverado homes for sale range from 800 to 3000 plus square feet. The Silverado homes styles are bungalows and 2 storeys it comes either with attach or detach garage. Silverado has about 6305 residents call home. Silverado properties are located in the SW Calgary: North: Spruce Meadows TR., South: 194 AVE. East: Macleod TR., Spruce Meadows WY. Silverado Condos & Townhouse: There were 7 condos & 21 townhouses SOLD in Silverado in 2016 with a price range of $505k to $231k. Silverado townhouses for sale start building back in 2007 till 2016. The townhomes range size from 1000 to 1500 square feet and mostly 2 storeys and bungalow. 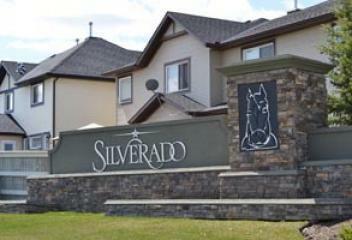 Silverado condos for sale were built in 2014 and low rise apartment. The condo size range from 1 to 2 bedrooms and it offers an underground parking. Skyview Ranch Real Estate: There were 102 single family homes SOLD in Skyview Ranch in 2016 with a price range of $594k to $312k. Skyview Ranch homes for sale were built in 2008 with different types from attach to detach homes and mostly 2 storey style homes. 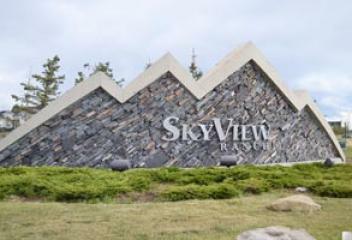 With Calgary rapidly extending northward, Skyview Ranch occupies one of the northeast newest areas. 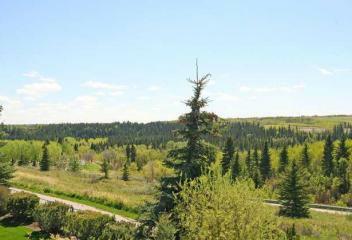 Skyview Ranch properties are located in the NE Calgary North: 128 AVE., South: Country Hills BLVD. East: 60 ST., West: Metis TR. Skyview Ranch Condos & Townhouse: There were 25 condos & 26 townhouses SOLD in Skyview Ranch in 2016 with a price range of $344k to $168k. 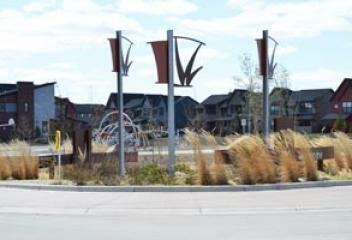 Condos for sale in Skyview Ranch were built in the past 5 years by Truman Homes. They offer 1 to 2 bedrooms modern design and an under ground parking. The townhouses for sale in Skyview Ranch are mostly row type homes. They were just built in the past years and some are still getting building. Somerset Real Estate: There were 87 single family homes SOLD in Somerset in 2016 with a price range of $532k to $343k. Somerset homes for sale contain spacious open kitchens with breakfast nooks, master suites, and private backyards. Homes size range from 900 to 2000 sqft. There are roughly 8,500 residents call Somerset home. 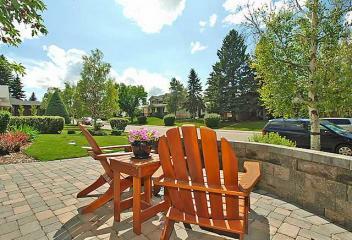 Somerset properties are located in the SW Calgary North: 162 AVE., South: Spruce Meadows TR. East: Shawville, West: James McKevitt RD. Somerset Condos & Townhouses: There were 32 condos & 14 townhouses SOLD in Somerset in 2016 with a price range of $343k to &109k. 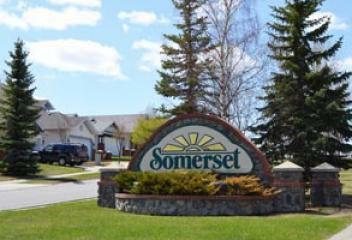 Somerset condos for sale are low rise building built in 1999 to 2004. The condos in Somerset features studio to 2 bedrooms and size are from 400 to 1000 plus sqft. Somerset townhouses for sale were built in 1995 and 1997. The townhomes are row types and it comes with different styles from bungalow, 2 storey and split level. 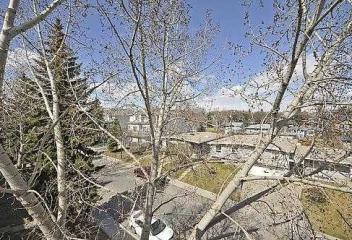 Condo / Townhouse: There were 73 Condos / Townhouses SOLD in South Calgary in 2012. 2011 Population 3,642 2011 Dwellings 2,239 Locations: Quadrant: Southwest Calgary North: 26 AVE., South: 34 AVE. East: 14 ST., West: 20 ST. 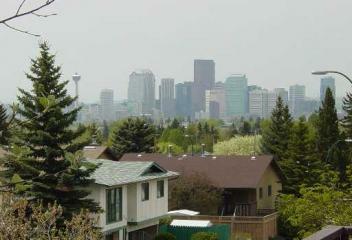 Single Family Home: There were 76 Single Family Homes SOLDS in South Calgary in 2012. 2011 Population 3,642 2011 Dwellings 2,239 Locations: Quadrant: Southwest Calgary North: 26 AVE., South: 34 AVE. East: 14 ST., West: 20 ST. 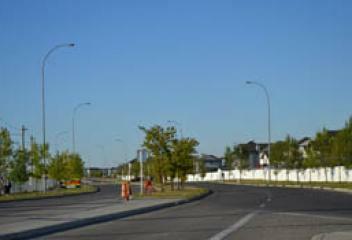 The southeast Calgary consist of 41 communities that have condominiums, from conventional condos to bareland condos and one of the most new develop area in Calgary. It comes with different types of condominiums from low, mid to highrise apartments and townhouses, new to old mature communities. The choices of many styles, price range to ages built and everything in between are endless. Each of them offers different types of amenities, bylaws and are perfect choice for maintenace free lifestyles. 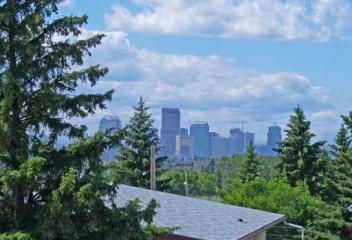 Southeast Calgary homes for sale is one of the fastest growing quadrants of the city with good reason. The commitment of developers to ensure ease of access to shopping and recreation has given rise to bright and vibrant communities attracting home buyers to the area. 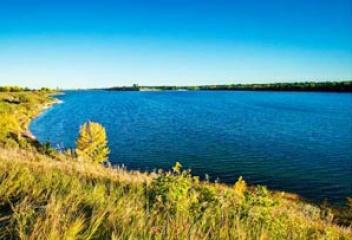 With several beautiful lakeside communities and the best of western parklands such as the Inglewood Bird Sanctuary and Nature Centre, Pierce Estate Park, Elliston Park and Ralph Klein Park. The southwest Calgary consist of 66 communities that have condominiums, from conventional to bareland condos and here you will find the most luxurious units. With many different types of condominiums from low, mid to highrise apartments, villas & townhouses, from new to old mature communities. The choices of many styles, price range to penthouse and everything in between are endless. Each of them offers different types of amenities, bylaws and are perfect choice for maintenace free lifestyle. A remnants of Historical Buildings from the early days of Calgary to the bright shining modern architecture of the future is all found on the soil of southwest Calgary real estate. Many neighbourhood surveys rank the inner southwest communities highly in their accessibility to grocery; curb appeal and pedestrian friendly atmosphere. 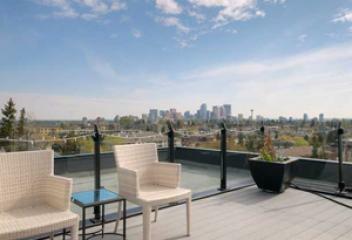 This quadrant boasts the largest accumulation of Calgary luxury homes for sale in the entire city as well. Single Family Home: There were 76 Single Family Homes SOLDS in Southwood in 2012. 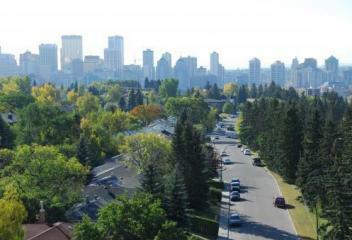 2011 Population 5,965 2011 Dwellings 2,654 Locations: Quadrant: Southwest Calgary North: Southland DR., South: Anderson RD. 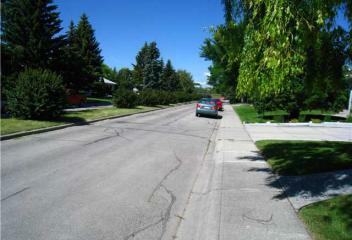 East: Macleod TR., West: 14 ST.
Condo / Townhouse: There were 29 Condos / Townhouses SOLD in Southwood in 2012. 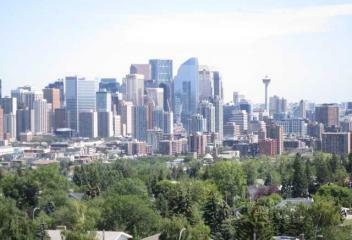 2011 Population 5,965 2011 Dwellings 2,654 Locations: Quadrant: Southwest Calgary North: Southland DR., South: Anderson RD. East: Macleod TR., West: 14 ST.
Springbank Hill Condos & Townhouse: There were 22 condos & 24 townhouses SOLD in Springbank Hill in 2016. 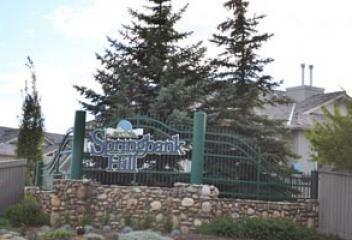 Springbank Hill condos for sale were built in 2000 and the newest were bulit in 2008. The condo features 600 to 1300 plus square feet, underground parking and open concept floor plan. 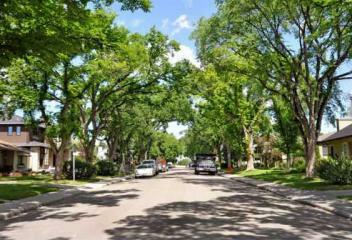 Springbank townhouses for sale are mixture of the villas and the traditional row style homes. Home size range from 700 to 1800 plus square feet that features garage, and master bedroom with an ensuite bath. 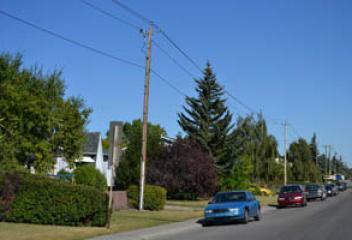 Single Family Home: There were 26 Single Family Homes SOLDS in Spruce Cliff in 2012. 2011 Population 3,992 2011 Dwellings 2,341 Locations: Quadrant: Southwest Calgary North: Bow River, South: Bow TR. 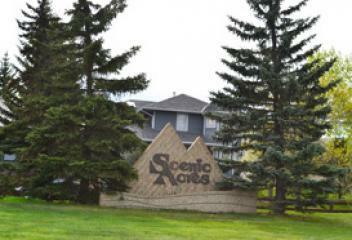 East: Shaganappi Golf Course, West: 38 ST.
Condo / Townhouse: There were 71 Condos / Townhouses SOLD in Spruce Cliff in 2012. 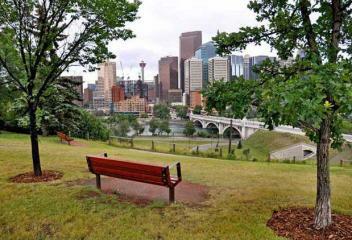 2011 Population 3,992 2011 Dwellings 2,341 Locations: Quadrant: Southwest Calgary North: Bow River, South: Bow TR. East: Shaganappi Golf Course, West: 38 ST.
Condo / Townhouse: There were 18 Condos / Townhouses SOLD in Parkhill in 2012. 2011 Population 1,623 2011 Dwellings 847 Locations: Quadrant: Southwest Calgary North: 34 AVE., South: 45 AVE. East: Macleod TR., West: 4 ST. Single Family Home: There were 98 Single Family Homes SOLD in Stratcona Park in 2012. 2011 Population 7,039 2011 Dwellings 2,435 Locations: Quadrant: Southwest Calgary North: Bow TR., South: Aspen Woods, Christie Park East: Sarcee TR., West: 85 ST.
Condo / Townhouse: There were 33 Condos / Townhouses SOLD in Strathcona Park in 2012. 2011 Population 7,039 2011 Dwellings 2,435 Locations: Quadrant: Southwest Calgary North: Bow TR., South: Aspen Woods, Christie Park East: Sarcee TR., West: 85 ST. Single Family Home: There were 11 Single Family Homes SOLDS in Sunalta in 2012. 2011 Population 3,116 2011 Dwellings 2,124 Locations: Quadrant: Southwest Calgary North: Bow River, South: 17 AVE. East: 14 ST., West: Crowchild TR. Condo / Townhouse: There were 73 Condos / Townhouses SOLD in Sunalta in 2012. 2011 Population 3,116 2011 Dwellings 2,124 Locations: Quadrant: Southwest Calgary North: Bow River, South: 17 AVE. East: 14 ST., West: Crowchild TR. Sundance real estate: There were 120 single family homes SOLD in Sundance in 2016 with a price range of 1.46 million to $328k. 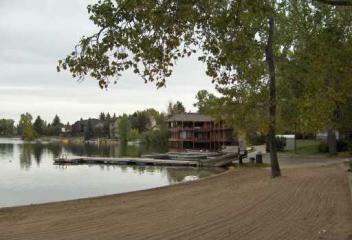 Sundance homes for sale are in a lake community in SE built in the 80's were homes have waterfront and starter home. Homes size range from 1000 to 3000 plus square feet and mixture of house styles features 3 to more bedrooms and so much more. 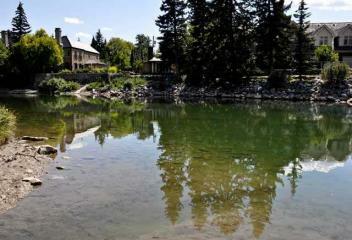 Sundance properties are located in SW Calgary. 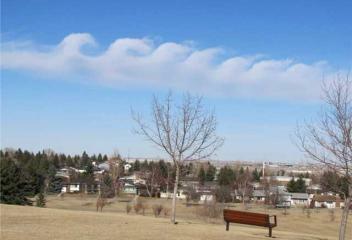 North: Sun Valley BLVD, South: 22X East: Fish Creek Park, West: Macleod TR. Sundance Townhouse: There were 4 townhouses SOLD in Sundance in 2016 with a price range of $397k to $320k. Sundance townhouses for sale were built in 1993 and it comes with splits style unit. The home size range from around the 1400 square feet plus and they features 2 or more bedrooms, master bedroom with an ensuites and attach garage. Sunnyside real estate: There were 17 single family homes SOLD in Sunnyside in 2016 with a price range of $960k to $435k. Sunnyside homes for sale are mixture of new to old built as early 1900's. The houses are mixture of semi and detach with a size range from 700 to 2500 plus square feet. 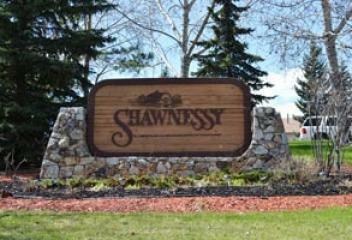 Sunnyside properties are located in NW Calgary North: Crescent RD., South: Bow River East: Centre ST., West: 10 ST.
Sunnyside Condos & Townhouse: There were 46 condos & 6 townhouses SOLD in Sunnyside in 2016 with a price range of 1.26 million to $174k. 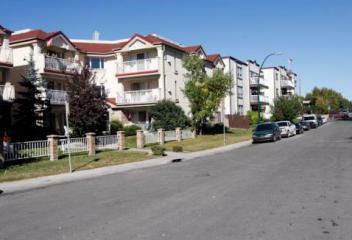 Sunnyside condos for sale are mostly low rise apartment built in the 70's and newly development. 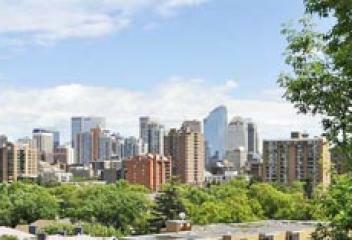 The condos feature studio to 2 bedrooms unit and some with a downtown view. Sunnyside townhomes for sale are row style homes that features open floor plan, 2 or more bedrooms and master bedroom with an ensuites. In 2016 Taradale real estate had 154 single family homes sold with a price range of $882k to $264k. Homes for sale in Taradale features a wide variety of choices for all types of potential buyers. Like it's neighboring community of Saddleridge, this community has mainly single-family houses with some various condominium options as well. 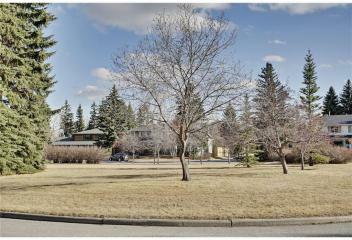 Taradale properties is located in NE Calgary: North: 80 AVE., South: 64 AVE. East: Stoney TR., West: Falconridge BLVD. Taradale Condos & Townhouse: There were 20 condos & 24 townhouses SOLD in Taradale in 2016 with a price range of $345k to $140k . Taradale have about 16,841 population. 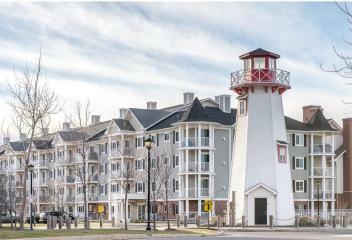 Condos for sale in Taradale were built 2007, 2008 and 2013. Each complex offers different features from 1 to 2 bedrooms. Majority of Taradale townhouses for sale were built in the 2000's and as old 98. Each of the complex offers unique features from attach garage, 2 or more bedrooms and very affordable for a starter homes. Temple Real Estate: There were 107 single family homes SOLD in Temple in 2016 with a price range of $454k to $220k. Temple homes for sale are built in the late 70's to early 80's. They come with wide variety of styles from bungalow, bi-level and splits and some features are duplex and garage. There are 10,894 residents call Temple homes and 2913 single family dwelling. 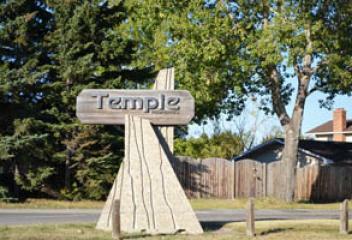 Temple properties are located in the NE Calgary North: McKnight BLVD., South: 32 AVE. East: 68 ST., West: 52 ST.
Temple Townhouse: There were 15 townhouses SOLD in Temple in 2016 with a price range of $263k to $175k. Townhouses for sale in Temple were built in the late 70's and 2 storey styles that features 2 to 3 bedrooms. Thorncliffe Townhouse: There were 19 townhouses SOLD in Thorncliffe in 2016 with a price range of $307K to $192k. Thorncliffe townhouse for sale were built in the 70's and mostly 2 storey. They features 2 to 3 bedrooms and some has an attach garage. 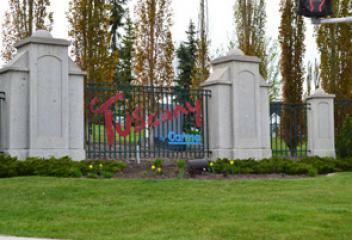 Tuscany Condos & Townhomes: There were 30 condos, 36 townhouses and 7 bareland properties SOLD in Tuscany in 2016 with the price range of 1.265 million to $237k Condos for sale in Tuscany are low rise complex near the Tuscany Ctrain station. The townhouses for sale in Tuscany are row styles that feature garage and some has mountain and ravine view. Tuxedo Park Real Estate: There were 58 single family homes SOLD in Tuxedo Park in 2016 with a price range of $885k to 290k. Homes for sale in Tuxedo Park are as diverse and unique as they come. There are bungalows, condo complexes, town houses, new semi-detached infills, and large executive infills as well. Tuxedo Park properties is located in NW & NE Calgary North: 32 AVE., South: 16 AVE. East: Edmonton TR., West: 2 ST. Tuxedo Park Condos & Townhouses: There were 5 condos and 15 townhouses SOLD in Tuxedo Park in 2016 with a price range of $574k to $220k. Tuxedo Park townhouses for sale were built in the 90's till present. They are either a row styles or a 4plex that features modern finish and attach garage. 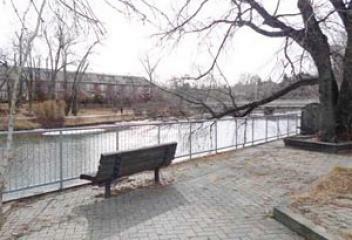 Tuxedo Park condos for sale were mostly low rise that was built in the 80's, 90's to 2000's. They features studios styles to 2 or more bedrooms. 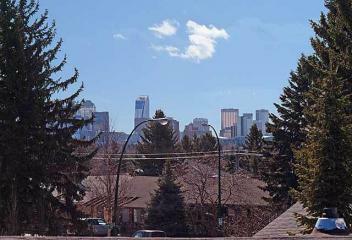 University Heights real estate: There were 9 single family homes sold in University Heights Calgary in 2016 with a price range $938k to $670k. University Heights homes for sale are built in the 60's with a size range from 1200 to 2200 plus square feet with a 3 to more bedroom. 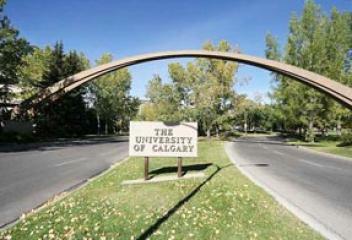 University Heights properties are located in NW Calgary North: 24 AVE., South: 16 AVE. East: University DR., West: Shaganappi TR. University Heights Condos: There were 2 condos SOLD in University Heights in 2016 with a price range from $245k to $315K. The University Heights condos for sale were built in 1991and mostly 2 bedrooms unit size range from 850 to 1000 plus square feet. Single Family Home: There were 3 Single Family Homes SOLDS in Upper Scarboro in 2012. 2011 Population 397 2011 Dwellings 165 Locations: Quadrant: Southwest Calgary North: Bow River, South: 17 AVE. East: Crowchild TR., West: 24 ST. Single Family Home: There were 45 Single Family Homes SOLD in Varsity Acres in 2012. 2011 Population (Varsity Area) 12,021 2011 Dwellings 5,540 Locations: Quadrant: Northwest Calgary North: Crowchild TR., South: 40 AVE. East: Crowchild TR., West: 53 ST.
Condo / Townhouse: There were 41 Condos / Townhouses SOLD in Varsity Acres in 2012. 2011 Population (Varsity Area) 12,021 2011 Dwellings 5,540 Locations: Quadrant: Northwest Calgary North: Crowchild TR., South: 40 AVE. East: Crowchild TR., West: 53 ST.
Condo / Townhouse: There were 11 Condos / Townhouses SOLD in Varsity Estates in 2012. 2011 Population (Varsity Area) 12,021 2011 Dwellings 5,540 Locations: Quadrant: Northwest Calgary North: Crowchild TR., South: Bow River East: 53 ST., West: Silver Springs GA.
Condo / Townhouse: There were 207 Condos / Townhouses SOLD in Victoria Park in 2012. Locations: Quadrant: Southwest & Southeast Calgary North: 9 AVE., South: 17 AVE. East: 4 ST., West: 2 ST.
Vista Heights real estate: There were 15 single family homes SOLD in Vista Heights in 2016 with a price range of $499k to $325k. Vista Heights homes for sale are majority built in the 60's and mostly bungalow style homes. The home features 900 to 1200 plus square feet, 3 or more bedrooms and the community has a great access to major roads. 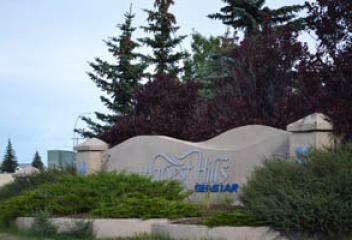 Vista Heights properties are located in the NE Calgary. North: 25 AVE., South: 16 AVE. East: 21 ST., West: Deerfoot TR. Condo / Townhouse: There were 5 Condos / Townhouses SOLD in Vista Heights in 2012. 2011 Population 2,274 2011 Dwellings 847 Locations: Quadrant: Northeast Calgary North: 25 AVE., South: 16 AVE. East: 21 ST., West: Deerfoot TR. Walden Real Estate: There were 97 Single Family Homes SOLD in Walden in 2016 with a price range of $710k to $315k. Walden homes for sale are semi detach to detach single family homes built in 2009 till present. Homes in Walden are mostly 2 storeys style homes from attach garage to lane homes. 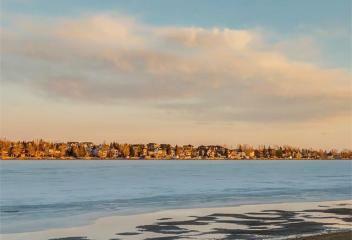 Walden properties are located in the SE Calgary North: 194 AVE., South: 210 AVE. East: Bow River, West: Macleod TR. Single Family Home: There were 16 Single Family Homes SOLDS in West Dover in 2012. 2011 Popultion (Dover Area) 10,302 2011 Dwellings 4,680 Locations: Quadrant: Southeast Calgary North: 26 AVE., South: 34 AVE. East: 36 ST., West: Deerfoot TR. Condo / Townhouse: There were 14 Condos / Townhouses SOLDS in West Dover in 2012. 2011 Popultion (Dover Area) 10,302 2011 Dwellings 4,680 Locations: Quadrant: Southeast Calgary North: 26 AVE., South: 34 AVE. East: 36 ST., West: Deerfoot TR. In 2016 West Springs real estate had 127 single family homes sold with a price range of 1.87 million to $380k. 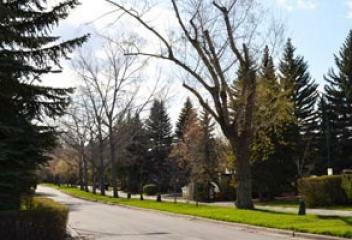 West Springs Calgary has a population of 8500+ and 2129 single family homes. West Springs homes for sale are mixture of starter home to luxury homes. They were built as early 2000's till today with a size range from 1100 to 3000 sqft. 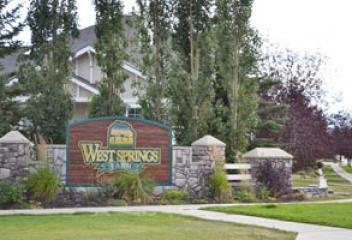 Homes for sale in West Springs are located in southwest Calgary: North: Old Banff Coach RD., South: Bow TR. East: Coach Hill., West: 101 ST. In 2016 the West Springs townhouses and villas has 29 properties sold with a price range from $725k to $311k. West Springs townhouses for sale were built as early 2000 till 2015. West Springs townhomes range from 900 to 1600 sqft. and features a garage, open concept, master suites and modern finish. West Springs condos for sale are a new development by Streetside. The unit size range from 600 to 1000 plus square feet that features 1 or more bedrooms and the same for the bathroom. Westgate real estate: There were 40 single family homes SOLD in Westgate in 2016 with a price range of 1.12 million to $420k. 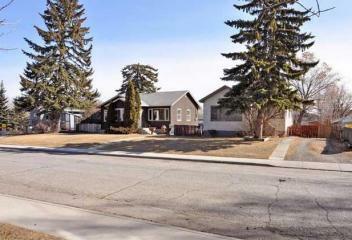 Westgate homes for sale are majority bungalow style built as early in the late 50's. The homes featured big lots, mature trees, and houses size range from 900 to 1300 plus square feet. There are about 3100 plus residents call Westgate homes. 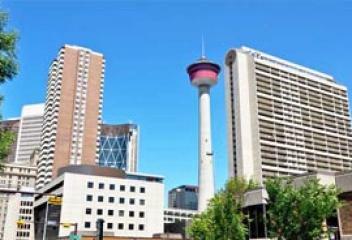 Westgate properties are located in the SW Calgary. North: Bow TR., South: 17 AVE. East: 45 ST., West: Sarcee TR. Condo / Townhouse: There were 15 Condos / Townhouses SOLD in Westgate in 2012. 2011 Population 3,101 2011 Dwellings 1,333 Locations: Quadrant: Southwest Calgary North: Bow TR., South: 17 AVE. East: 45 ST., West: Sarcee TR. 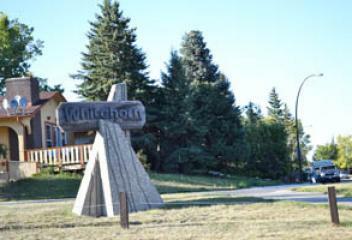 Whitehorn Real Estate: There were 106 single family homes SOLD in Whitehorn in 2016 with a price range of $498k to $212k. Whitehorn homes for sale are built in the late 70's and 80's with wide variety of styles from bungalow, bi-level, splits and 2 storeys. There are 3200 single family dwelling that features wide selection for buyers. Whitehorn properties are located in NE Calgary North: McKnight BLVD., South: 32 AVE. East: 52 ST., West: 36 ST.
Whitehorn Condos & Townhouses: There were 2 condos & 1 townhouse SOLD in Whitehorn in 2016 with a price range of $220k to $160k. 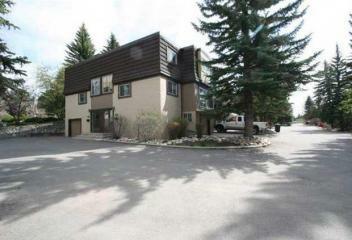 Condos for sale in Whitehorn are an adult living that was built in 2008. Wildwood real estate: There were 34 single family homes SOLD in Wildwood in 2016 with a price range of 2.9 million to $375k. Wildwood homes for sale were built in the 50's and mostly detach single homes. Homes size range from 900 to 2000 square feet and some of the interior are fully renovated. There are about 2,582 population and 1,056 plus dwellings. 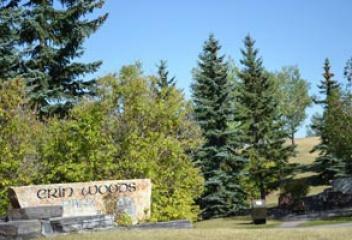 Wildwood properties are located in SW Calgary. 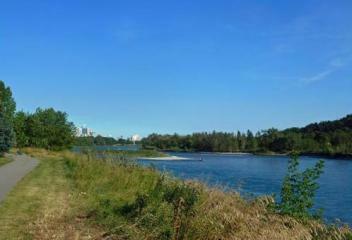 North: Bow River, South: Bow TR. East: 38 ST., West: Sarcee TR. Willow Park real estate: There were 56 single family homes SOLD in Willow Park in 2016 with a price range of 1.325 million to $344k. 2015 Population (Willow Park Area) 5,308 2015 Dwellings 2,282 Willow Park properties are located in SE Calgary North: Southland DR., South: Anderson RD. 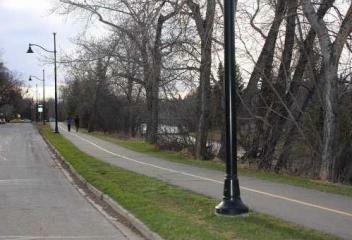 East: Acadia DR., West: Macleod TR. Willow Park Townhouse: There were 24 townhouses SOLD in Willow Park in 2016 with a price range of $357k to $189k. Windsor Park real estate: There were 22 single family homes SOLD in Windsor Park in 2016 with a price range of $990k to $357k. 2011 Population 3,858 2011 Dwellings 2,402 Windsor Park properties are located in SW Calgary North: 50 AVE., South: 58 AVE East: Macleod TR., West: Elbow River. Condos / Townhouse: There were 76 Condos / Townhouses SOLD in Windsor Park in 2012. 2011 Population 3,858 2011 Dwellings 2,402 Locations: Quadrant: Southwest Calgary North: 50 AVE., South: 58 AVE East: Macleod TR., West: Elbow River. Single Family Home: There were 51 Single Family Homes SOLD in Winston Heights in 2012. 2011 Population 3,760 2011 Dwellings 1,875 Locations: Quadrant: Northeast Calgary North: 34 AVE., South: 16 AVE. East: Deerfoot TR., West: Edmonton TR. Condo / Townhouse: There were 16 Condos / Townhouses SOLD in Winston Heights in 2012. 2011 Population 3,760 2011 Dwellings 1,875 Locations: Quadrant: Northeast Calgary North: 34 AVE., South: 16 AVE. East: Deerfoot TR., West: Edmonton TR. Woodbine real estate: There were 102 single family homes SOLD in Woodbine in 2016 with a price range of 1.3 million to $287k. 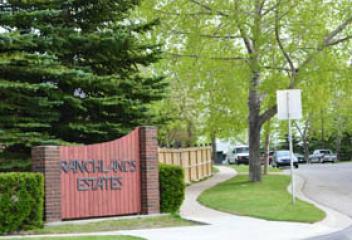 Woodbine homes for sale were built in the 80's, with homes size range from 1000 to 2500 plus square feet. Houses in Woodbine home style are bungalow, 2 storey and split level that feature 3 or bedrooms, garage and generous size backyard. Woodbine properties are located in the SW Calgary: North: Anderson RD., South: Fish Creek Park East: 24 ST., West: 37 ST.
Woodbine Townhouse: There were 12 townhouses SOLD in Woodbine in 2016 with a price range of $345k to $215k. There are 6 complex of townhouse for sale in Woodbine. They are Woodacres that has 23 units, Woodmount Terrace that has 63 units, The Woodsman that has 73 units, Tiffany Lane that has 45 units and Woodborough Terrace that has 80 units. Home buyers will find that most of styles of townhouse for sale in Woodbine are 2 storeys or a split styles homes. Woodlands real estate: There were 59 single family homes SOLD in Woodlands in 2016 with a price range of 1.1 million to $290K. Woodlands has a population 6201, 4290 single family homes and 312 duplex. Homes for sale in Woodlands are built in the mid 1970's to mid 1980's. It comes with different styles, bungalow, splits, 2 storeys and bi-level. 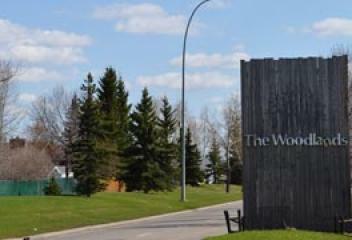 Woodlands properties are located in the SW of Calgary: North: Anderson RD., South: Fish Creek Park East: Canyon Meadow Golf Club., West: 24 ST.
Woodlands Townhomes: There were 8 townhouses SOLD in Woodlands in 2016 with a price range of $405k to $237k. Townhouses for sale in Woodlands built from 1978 to 1980. The homes size range from 900 to 1900 plus square feet, they features includes 2 to or more bedrooms, master bedroom with an ensuite and garage.